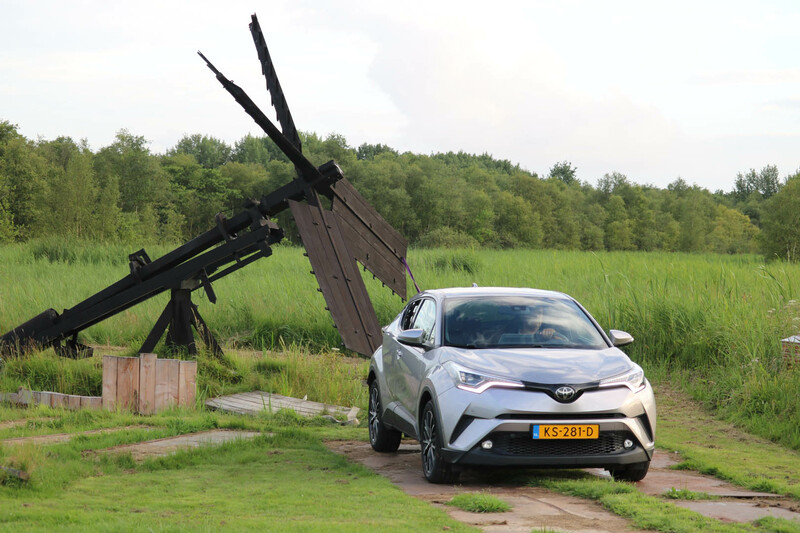 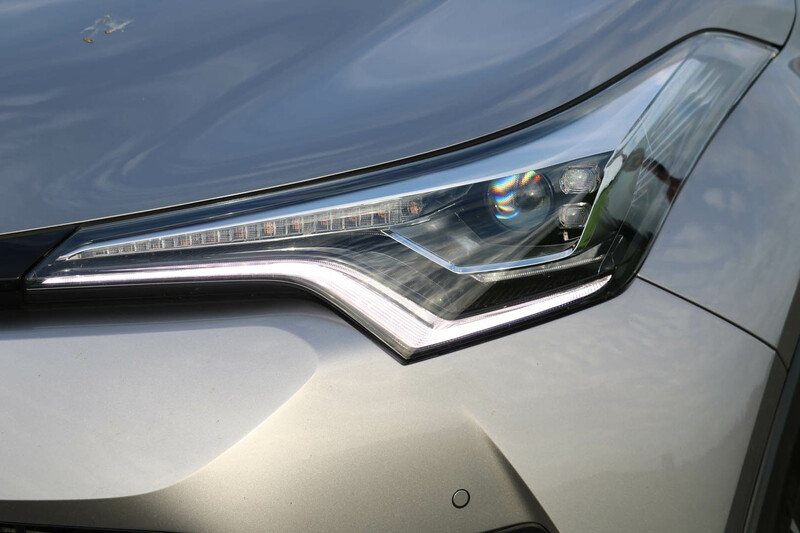 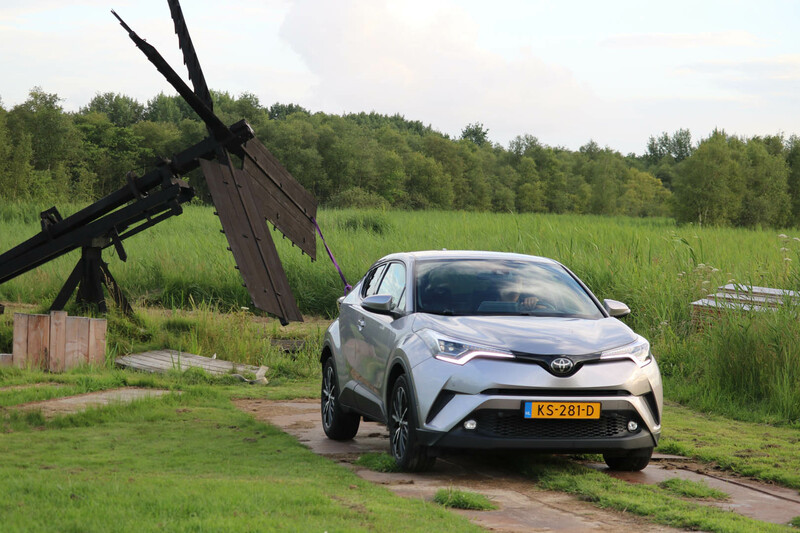 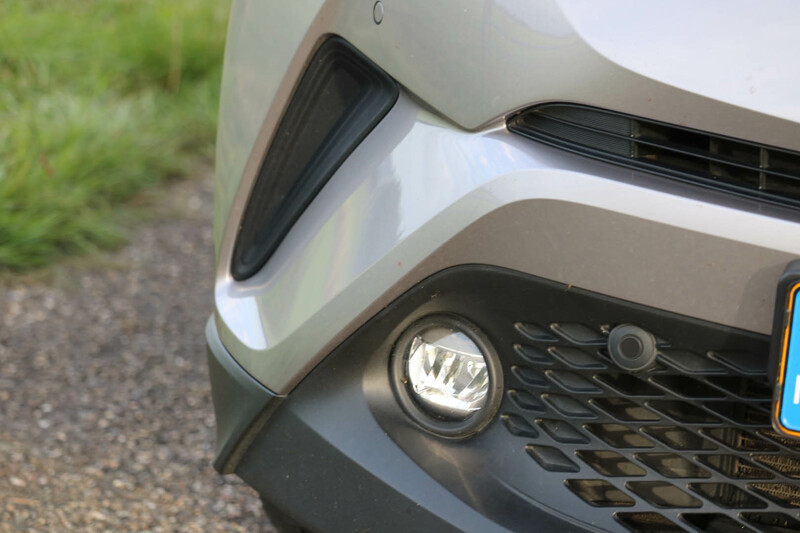 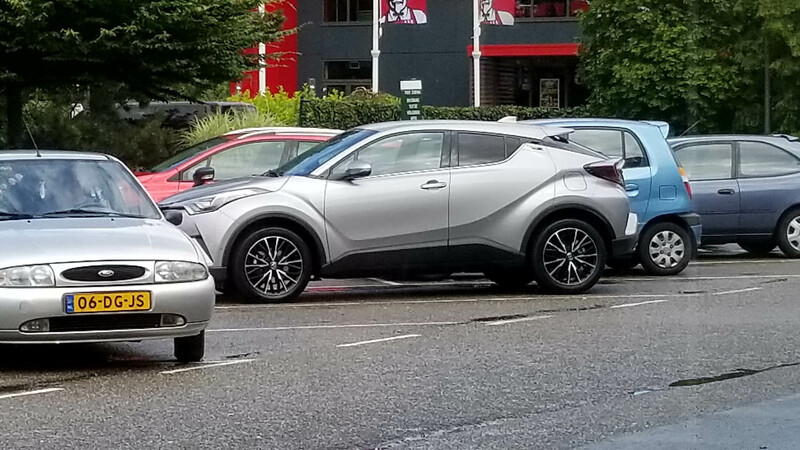 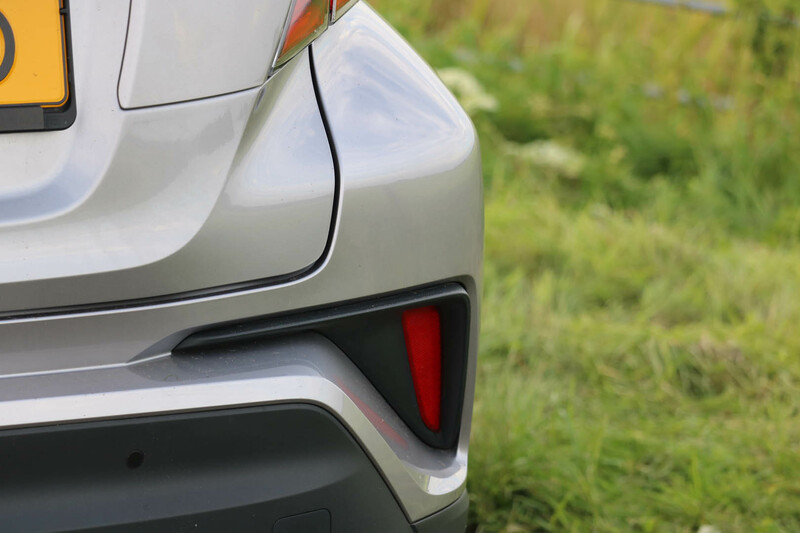 We first saw the Toyota C-HR while visiting the Art Center College of Design campus at the beginning of the year, where it was being reviewed by design students on a Saturday morning. 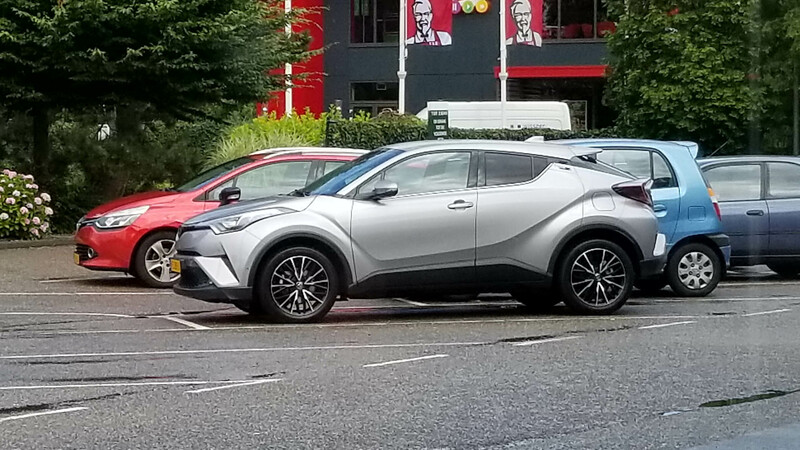 I went over to see what car it was, since it didn’t look like any current production vehicle I had seen. 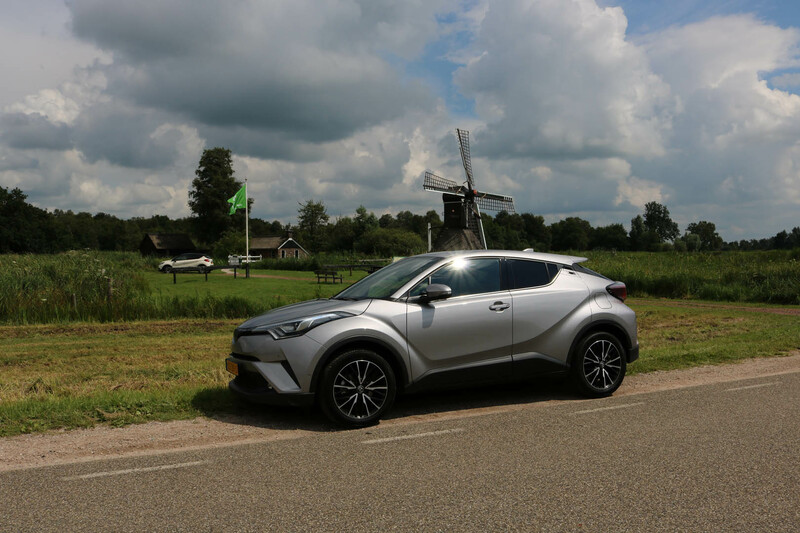 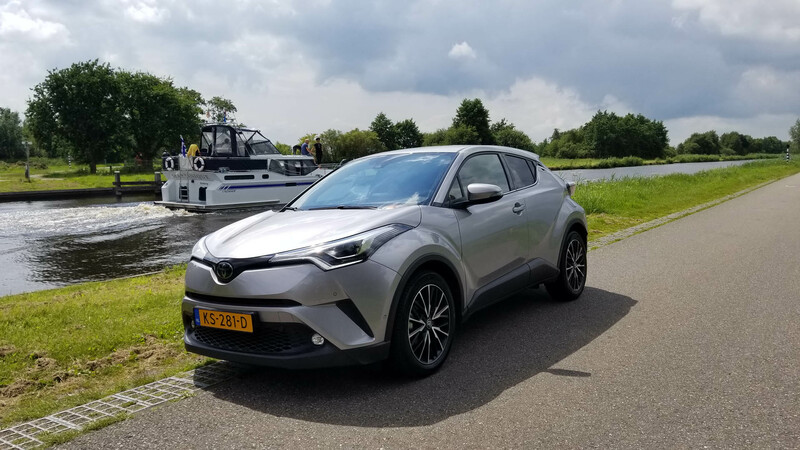 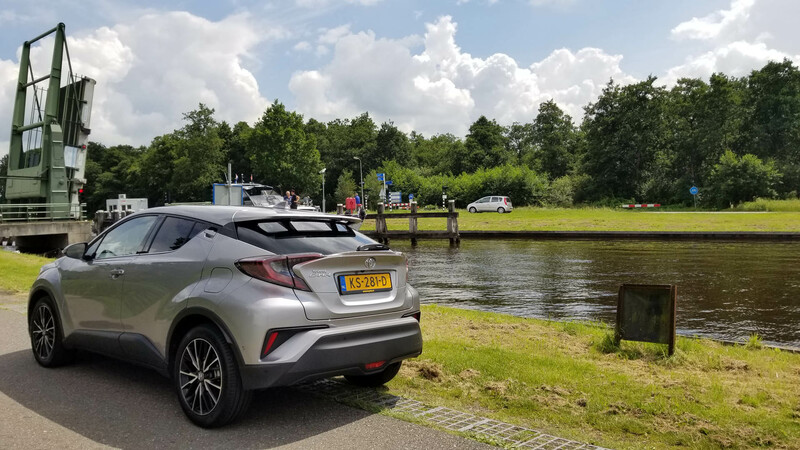 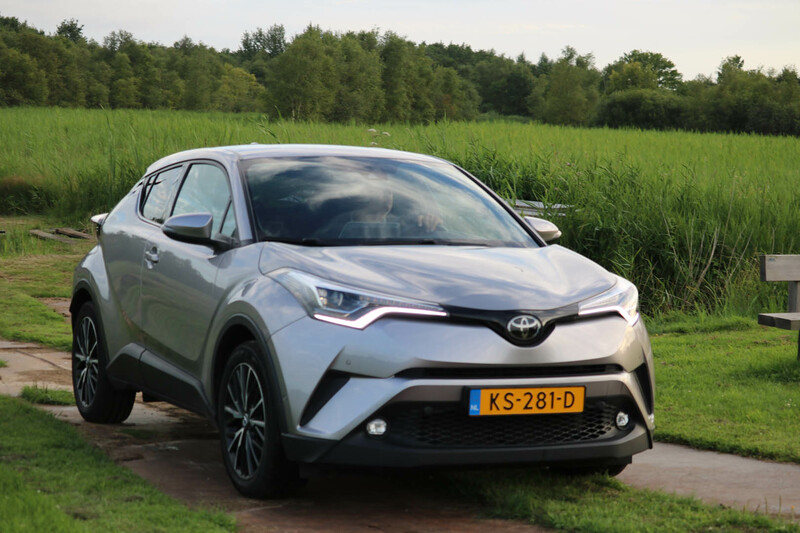 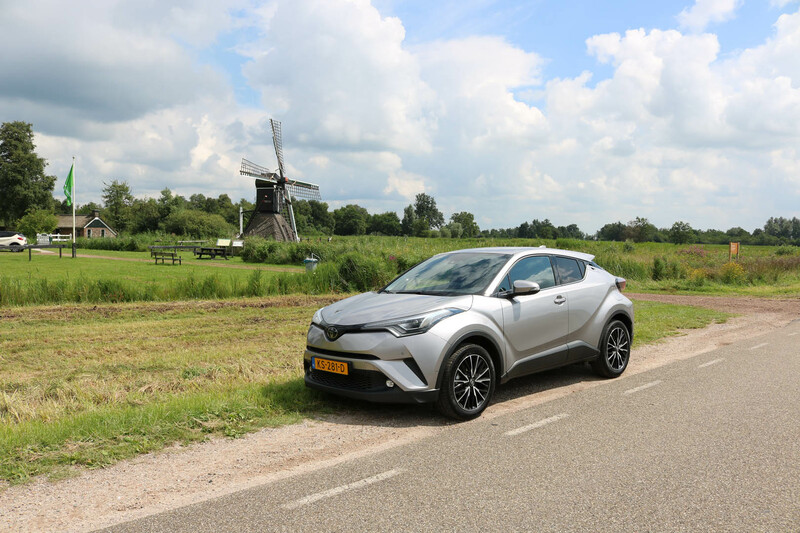 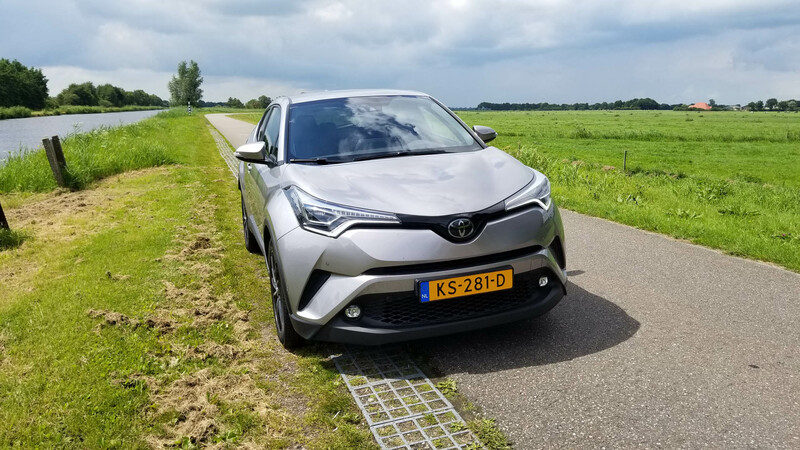 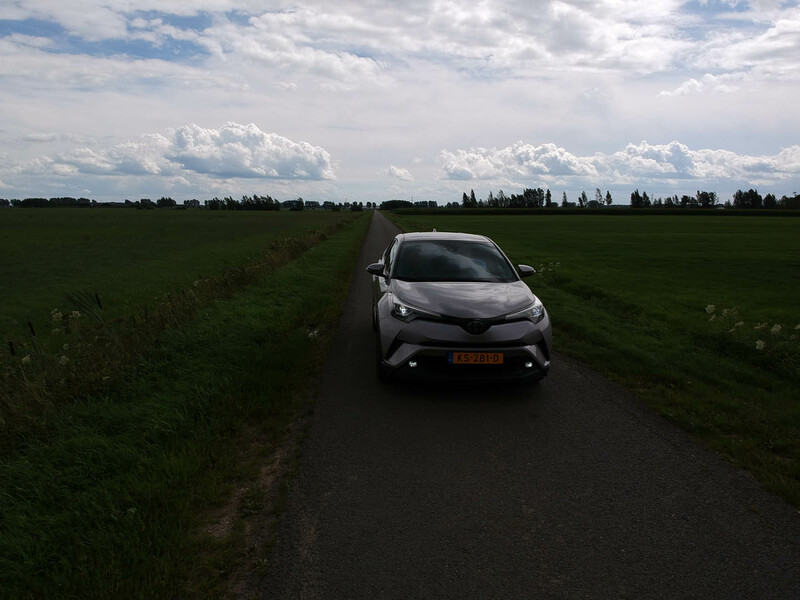 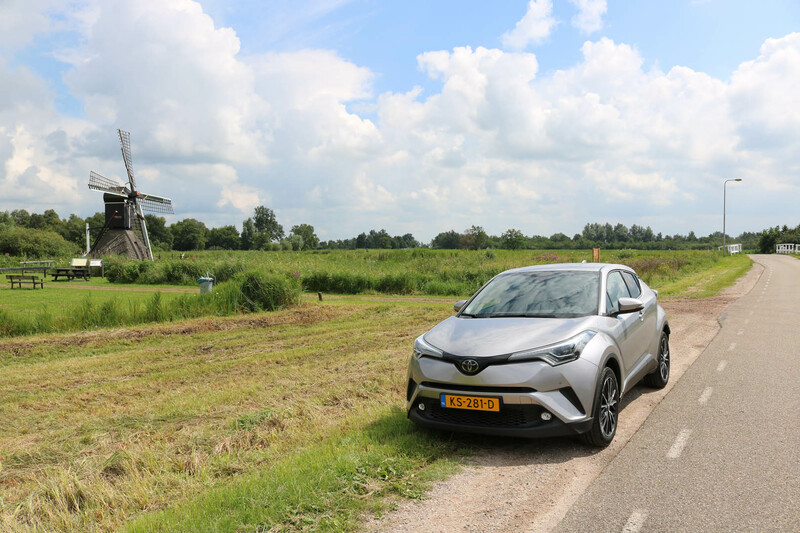 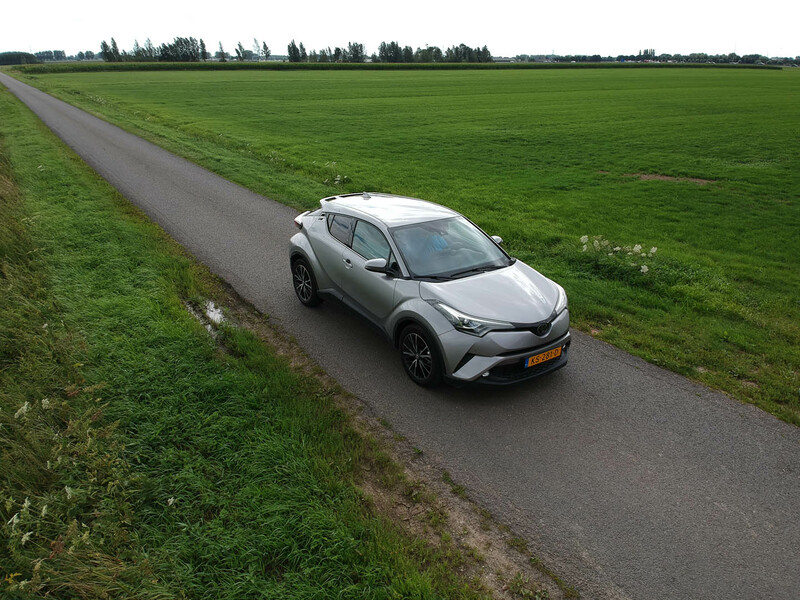 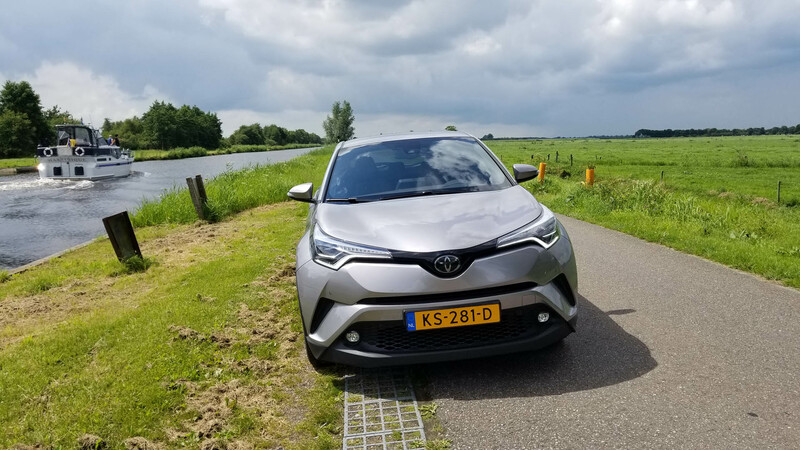 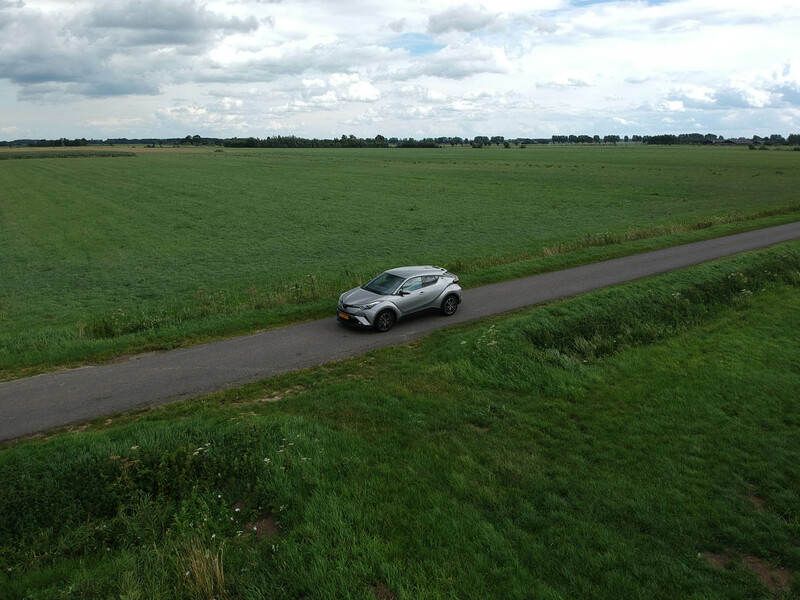 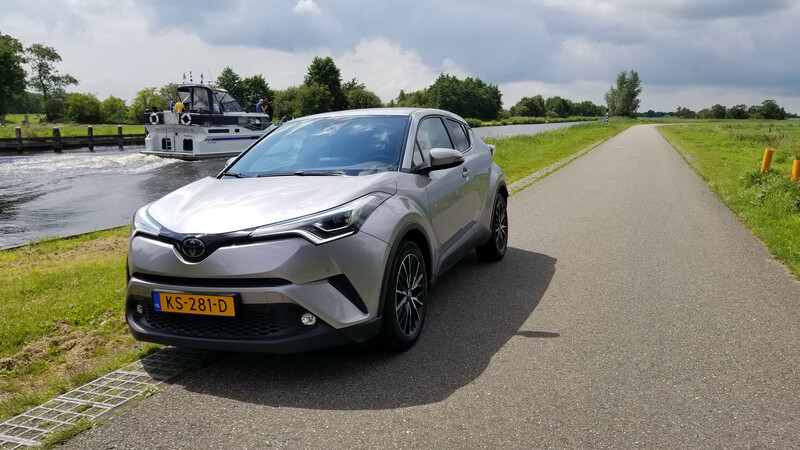 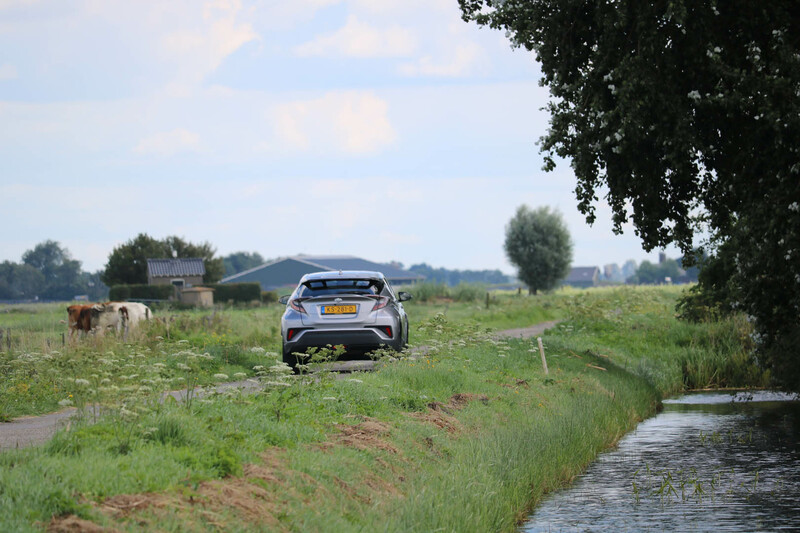 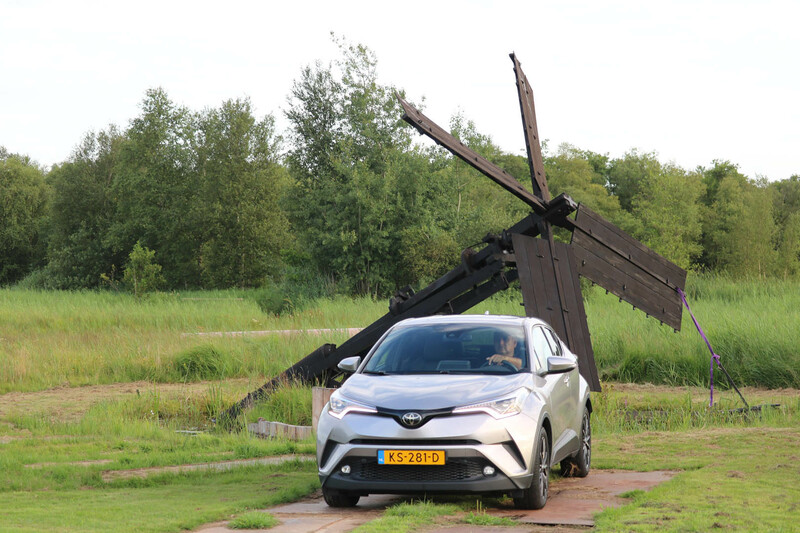 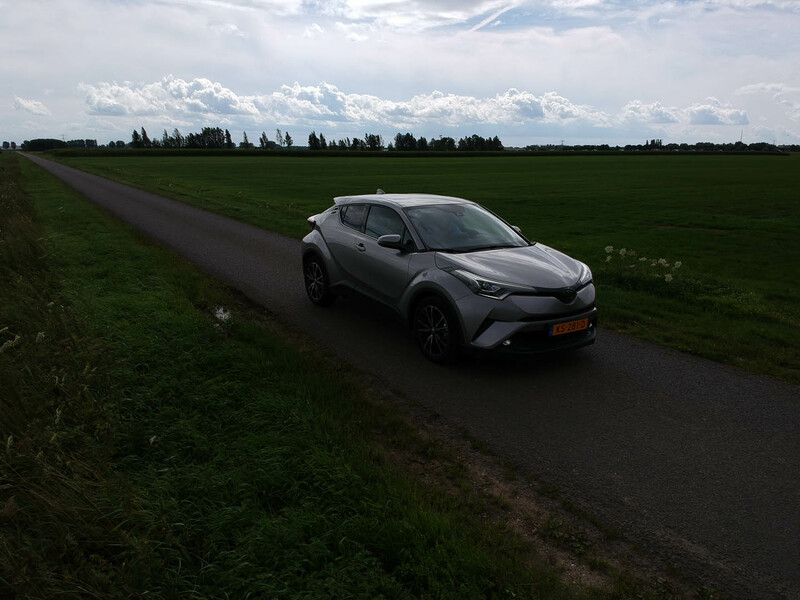 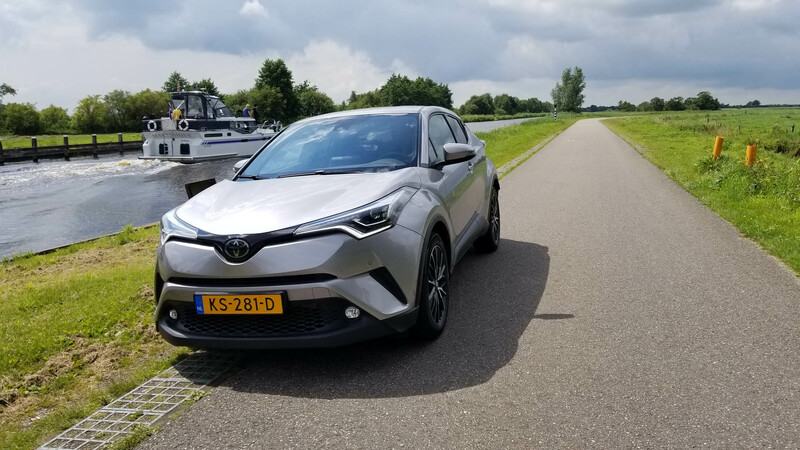 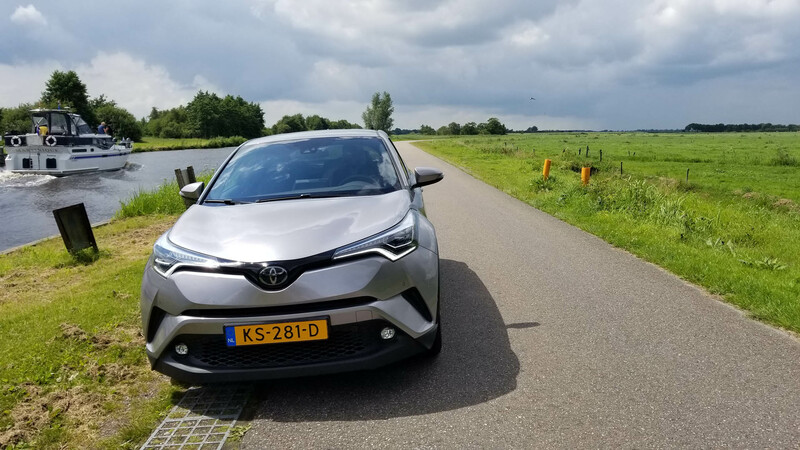 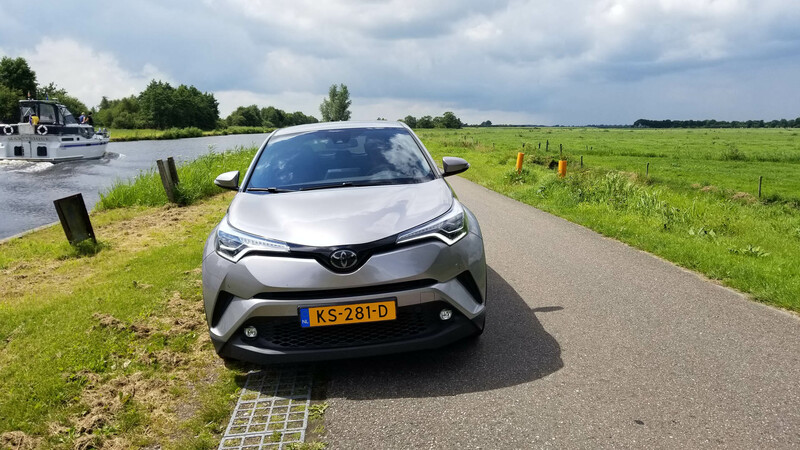 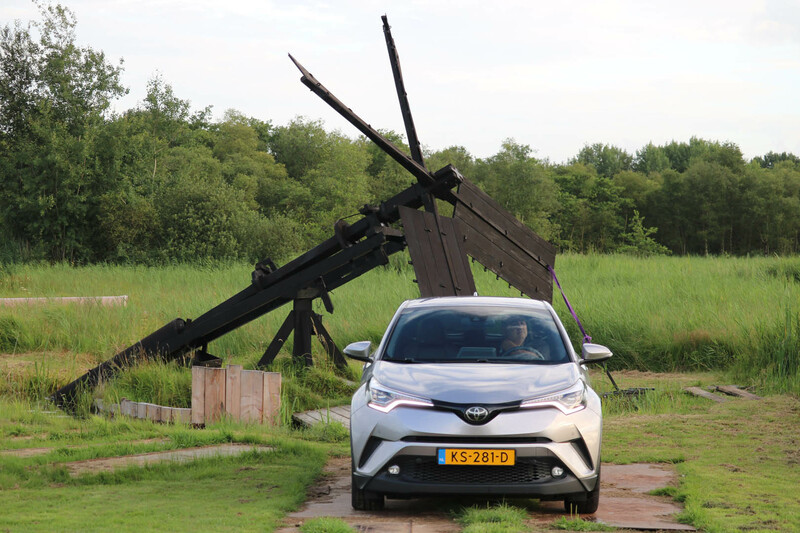 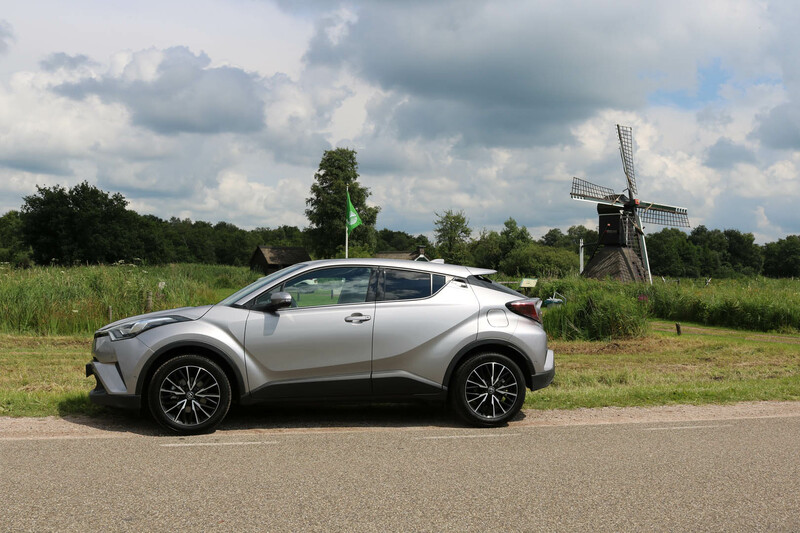 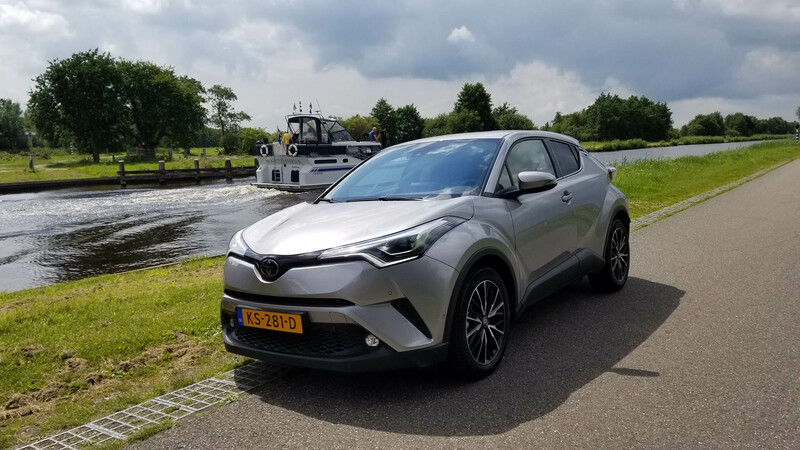 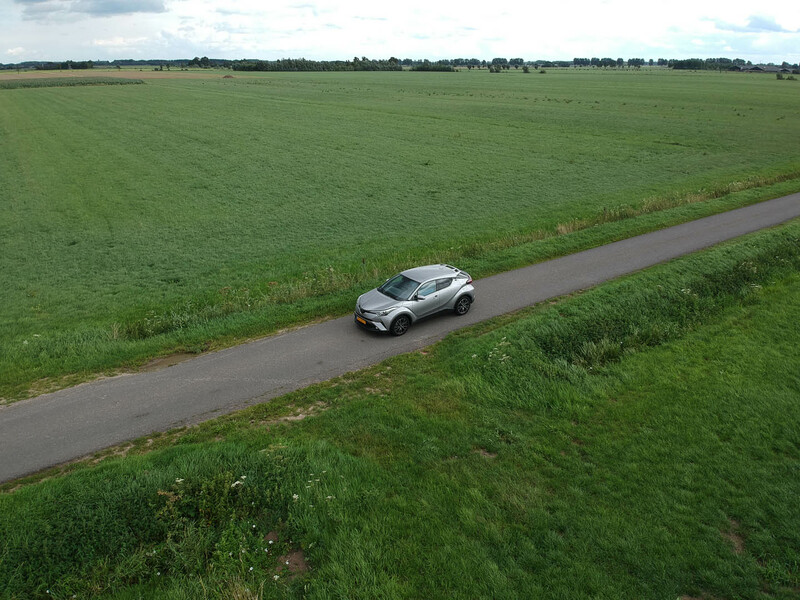 On my current Europe trip I was given the chance by Toyota in the Netherlands to pick one up and use it for 2 weeks. 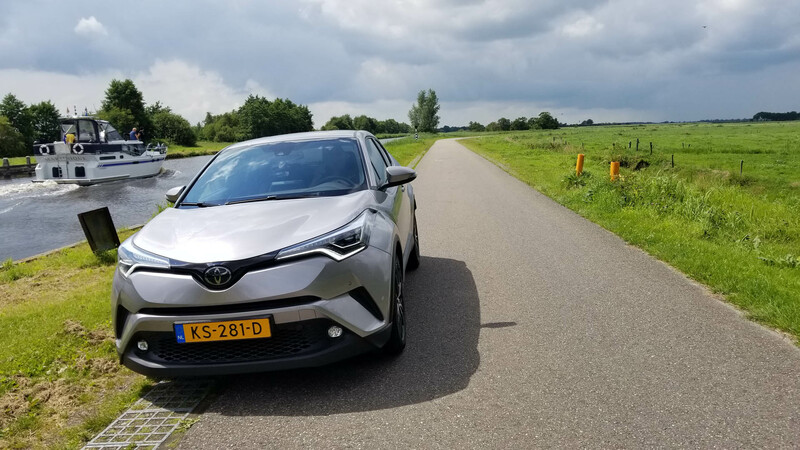 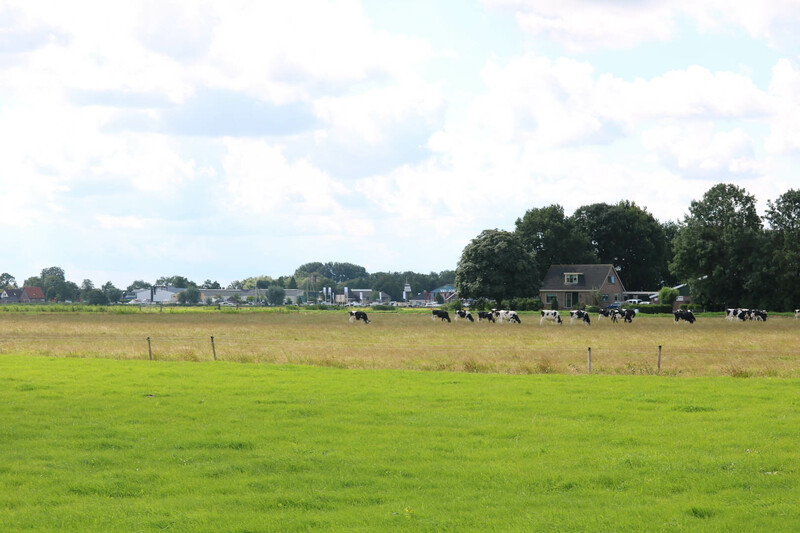 At the Toyota facility in the Netherlands I was greeted by 3 camels, which was enough to put me in a good mood. 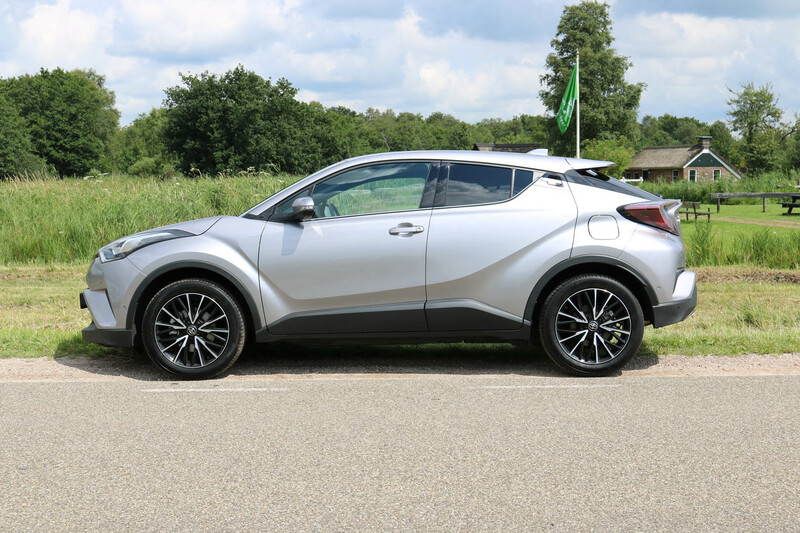 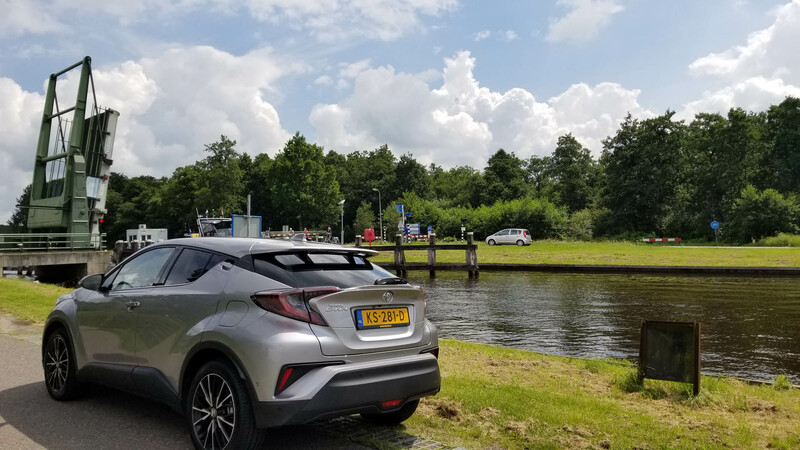 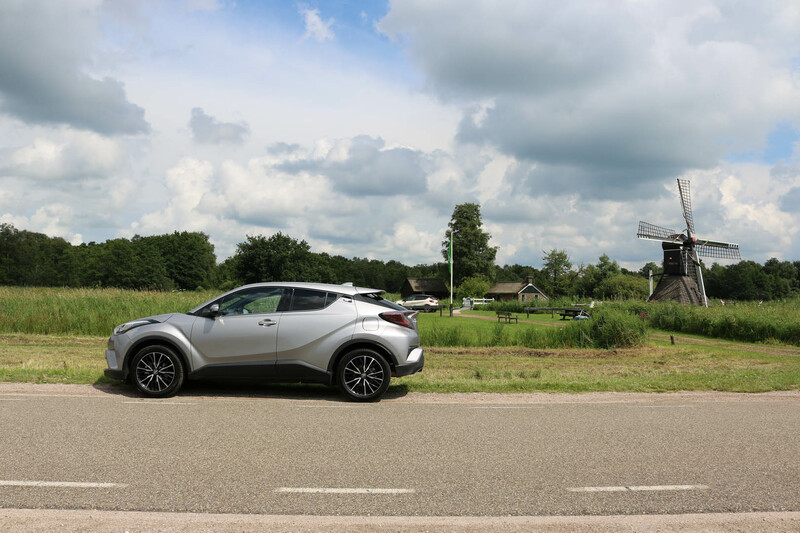 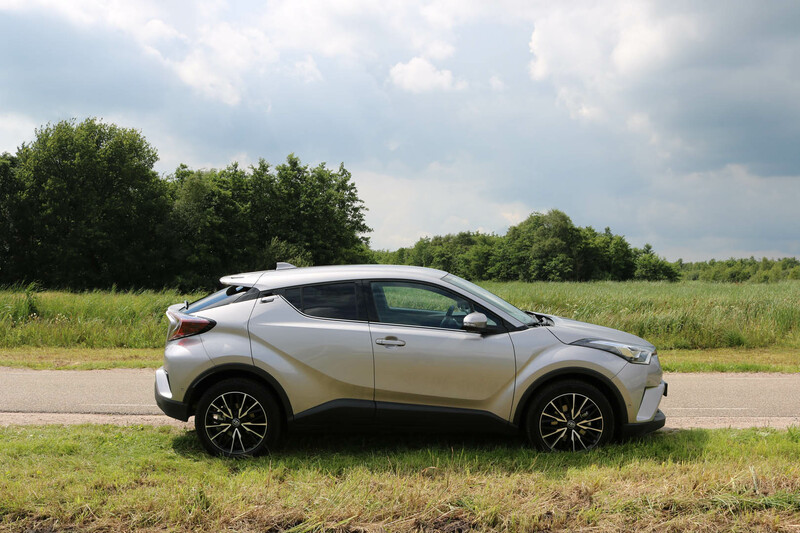 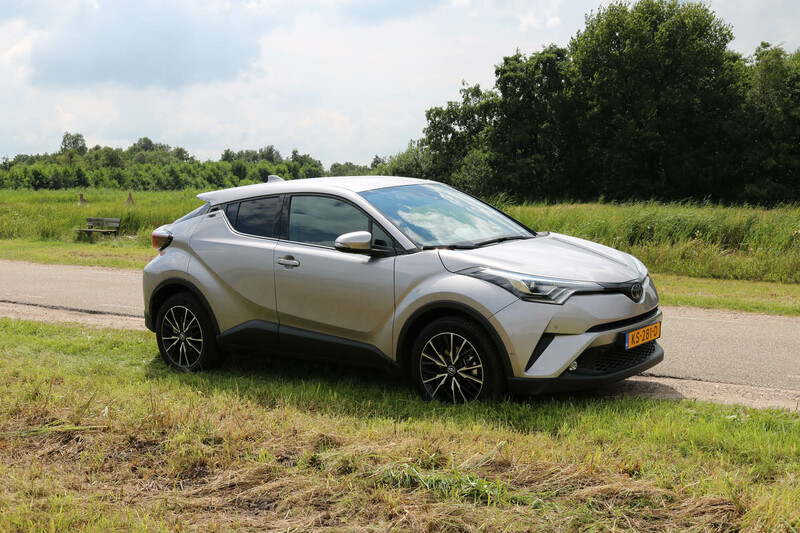 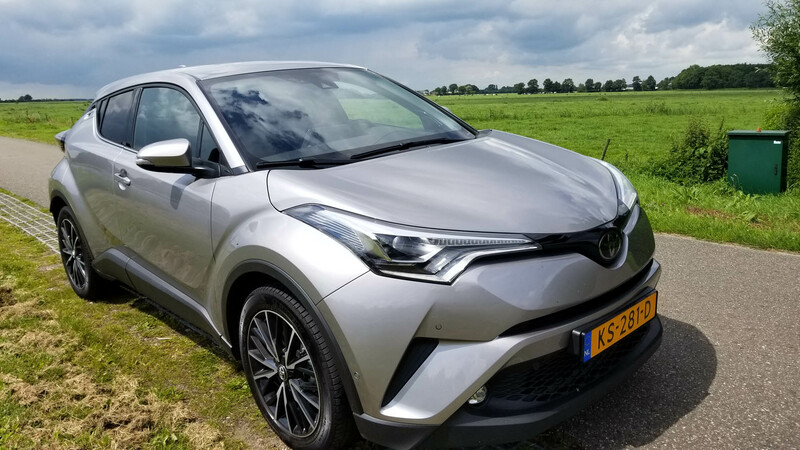 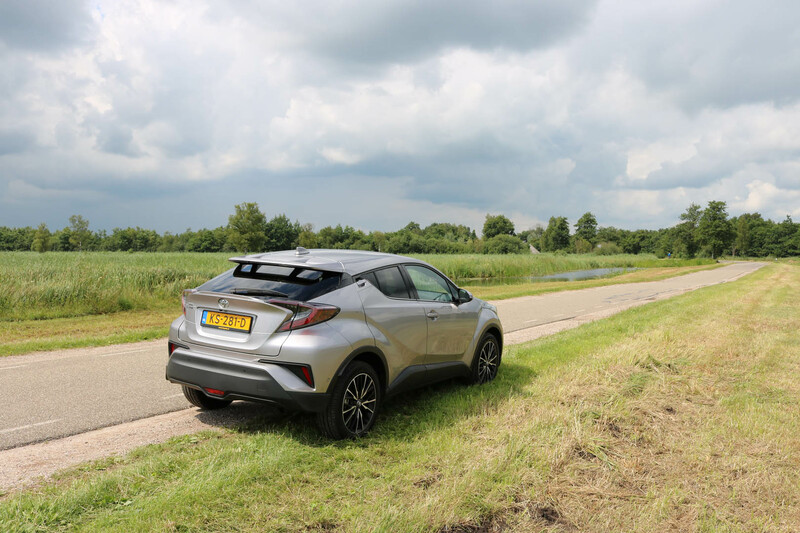 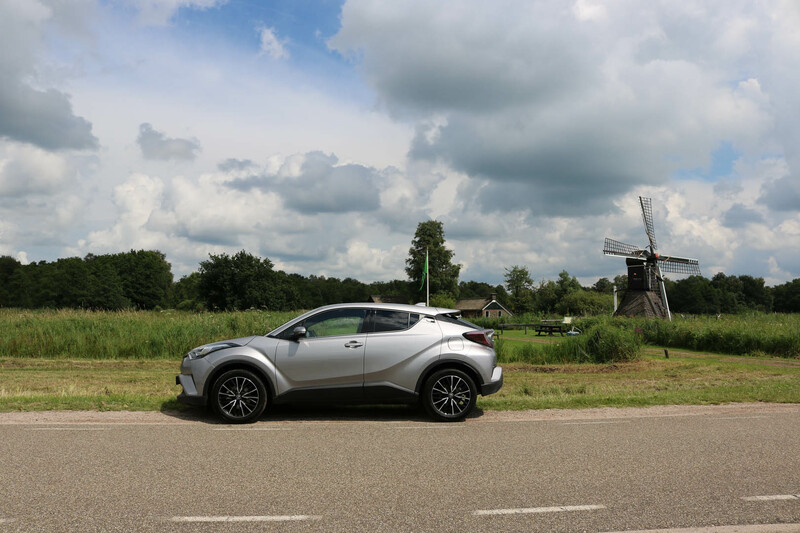 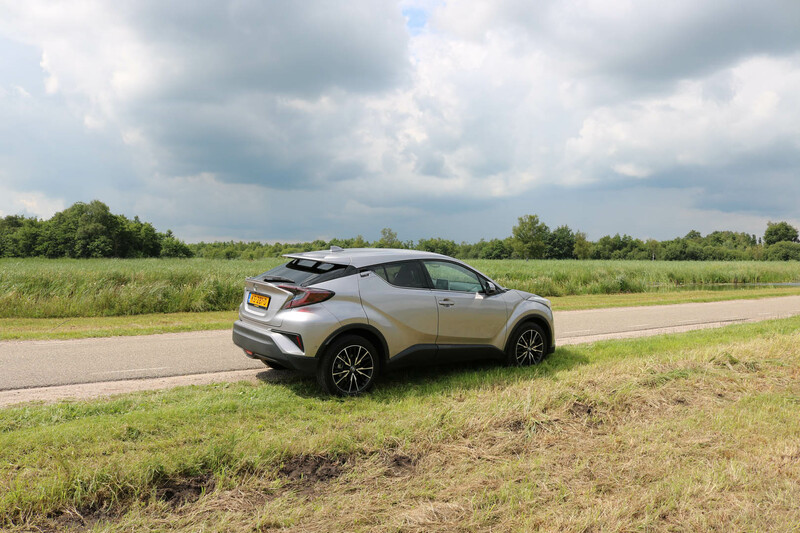 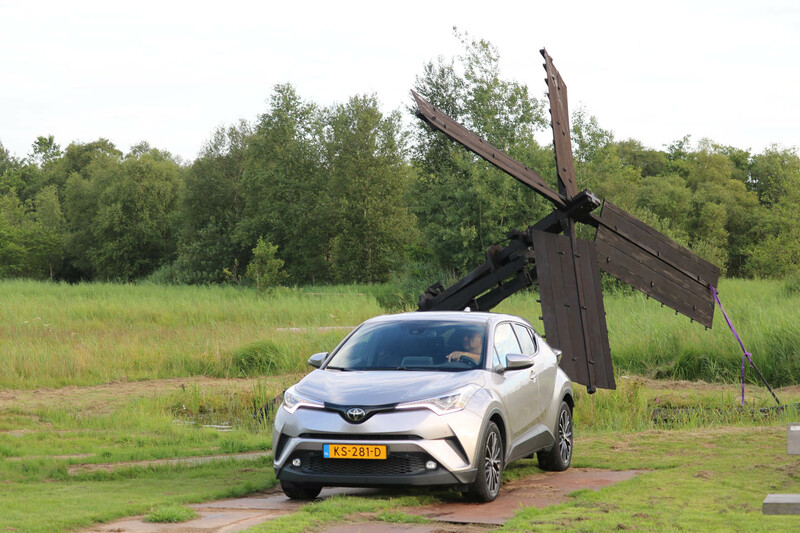 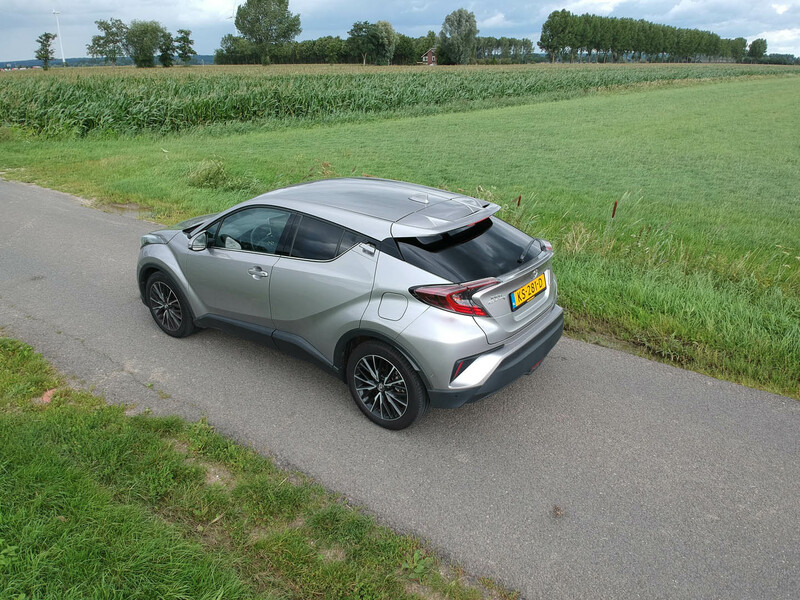 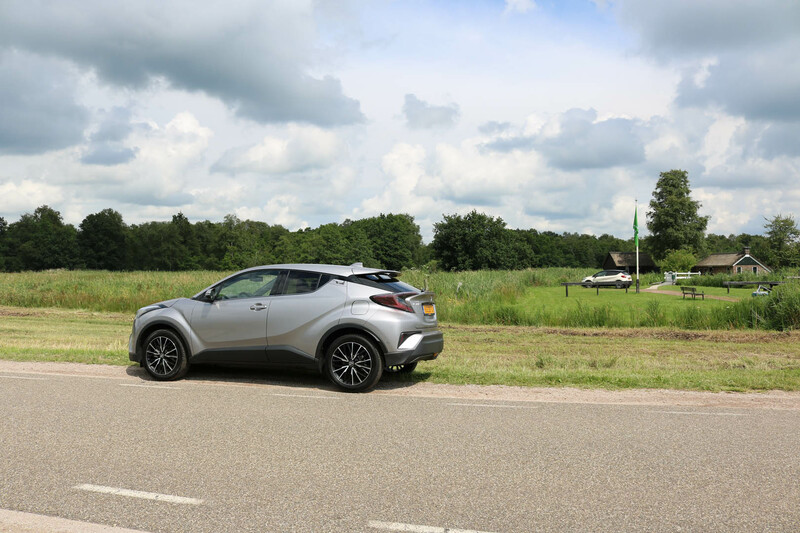 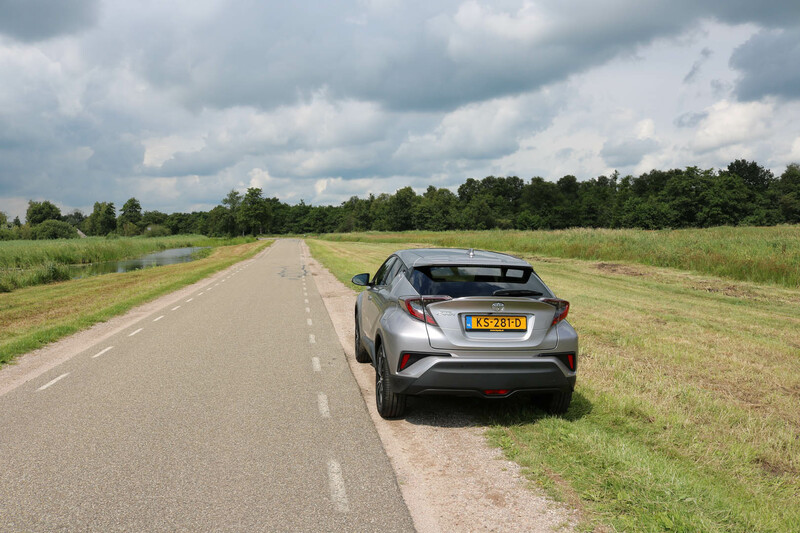 Something so unexpected makes your mind more open to different impressions, and the C-HR definitely was something different. 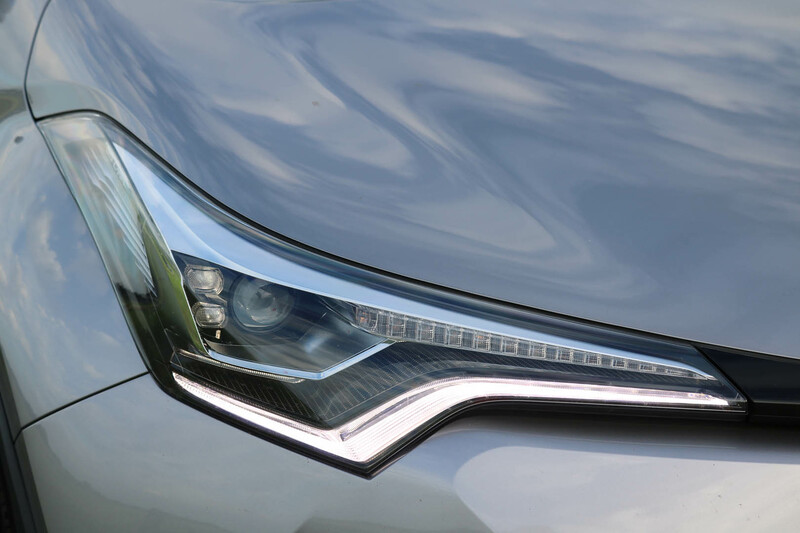 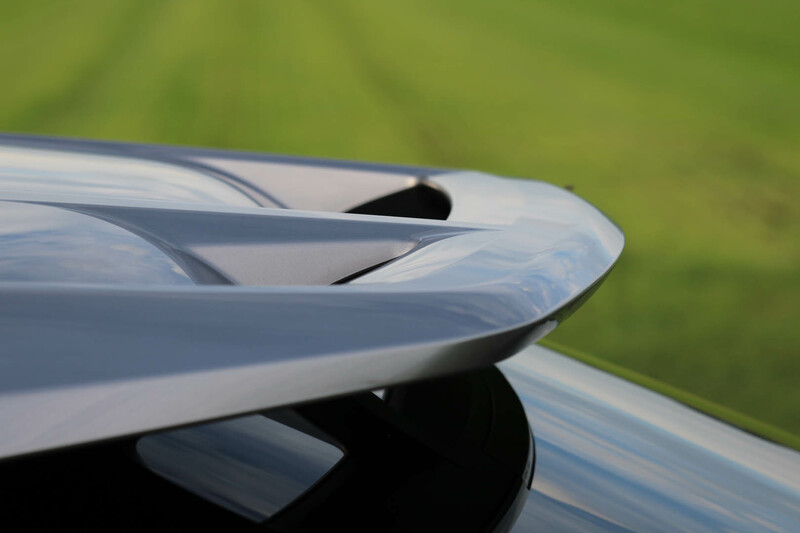 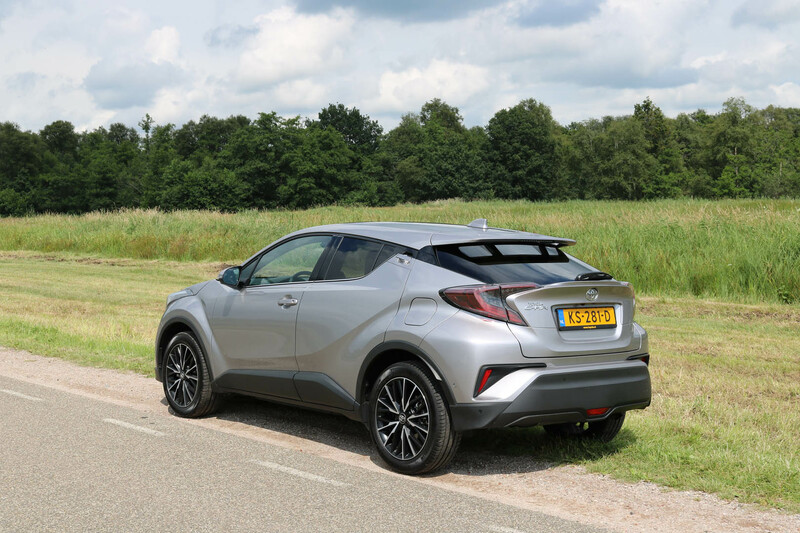 The design was based on the Toyota design concept presented at the 2014 Paris Motor Show, and the inspiration stuck, it was carried through quite well, albeit from a 3 door to a 5 door hatchback. 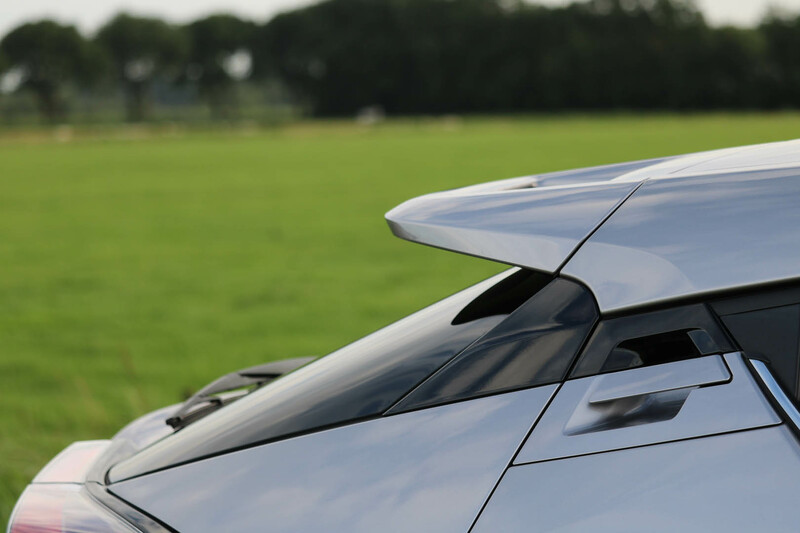 The complicated over-styling of the concept car was maintained surprisingly well, of course tempered down for production tooling, but not losing much of the design intent. 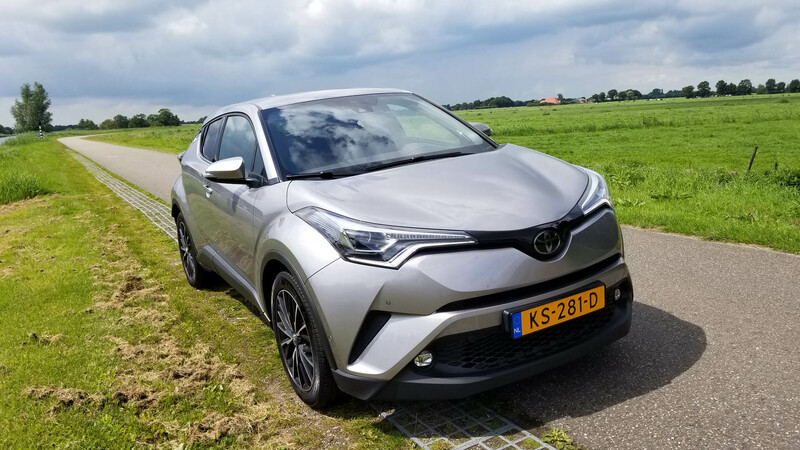 The Coupe High Rider in the US is only being delivered as a 2.0 liter with 144 hp and CVT transmission, but in Europe we drove the 1.2T version with a 6 speed gearbox. 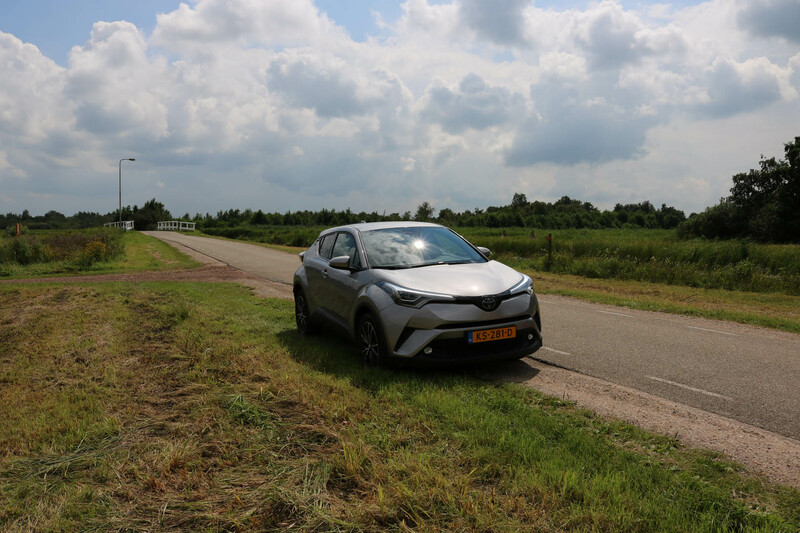 It was both surprisingly smooth and agile, with very good fuel consumption. 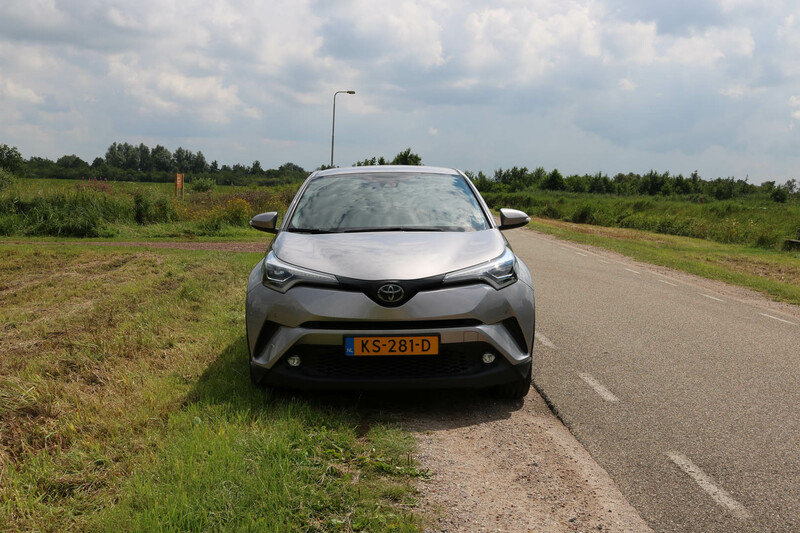 Both on the freeway as well as in urban traffic it performed very well, never leaving anything to be desired from a power train point of view. 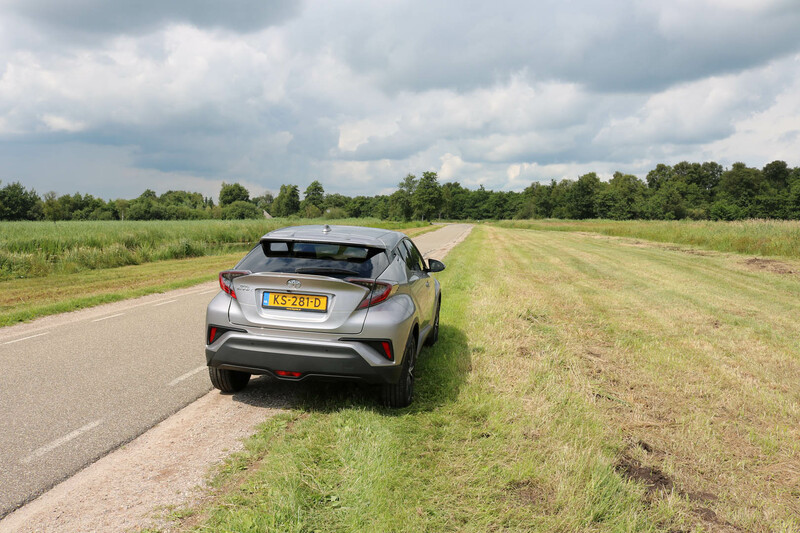 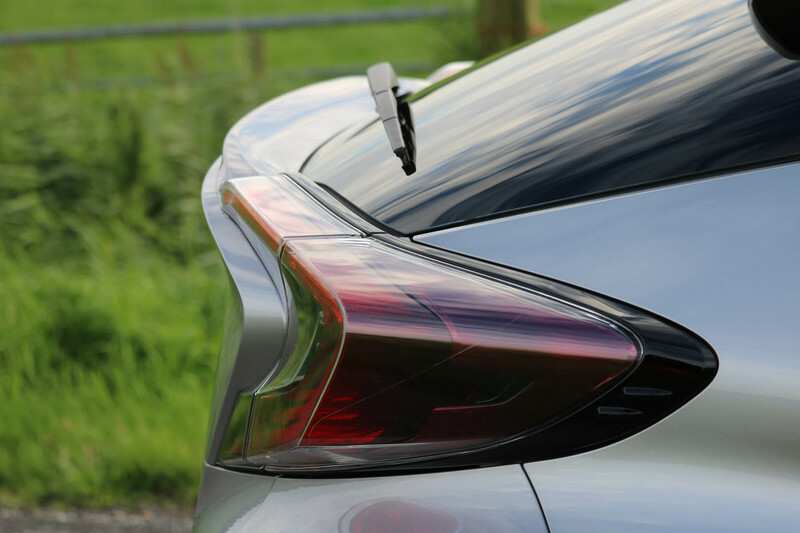 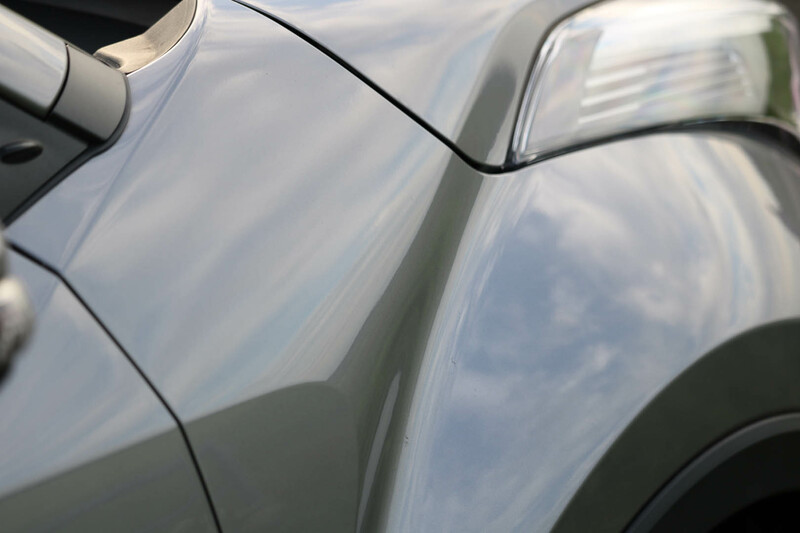 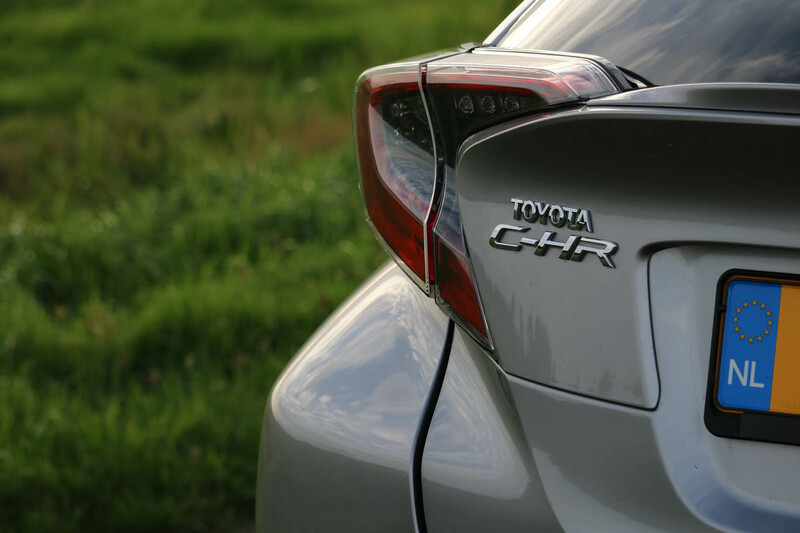 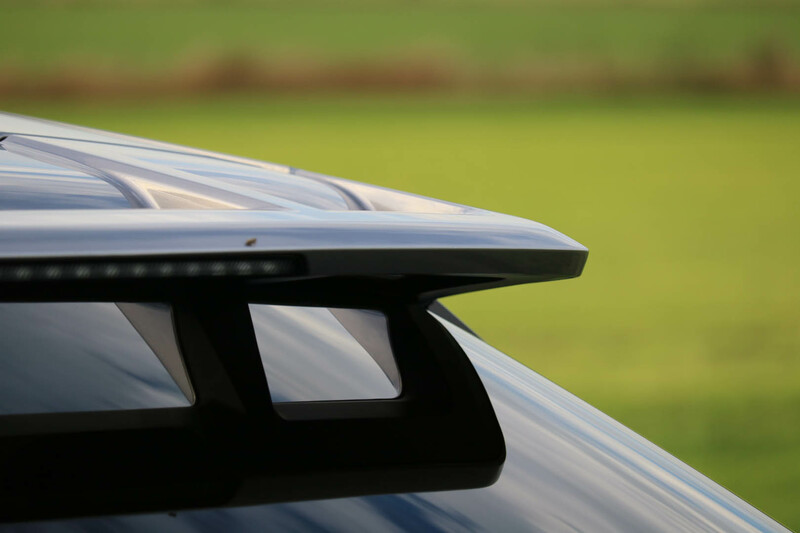 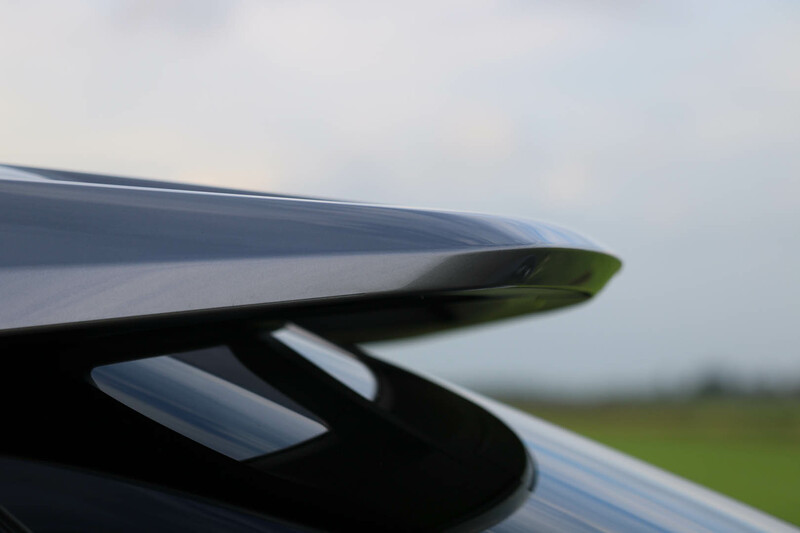 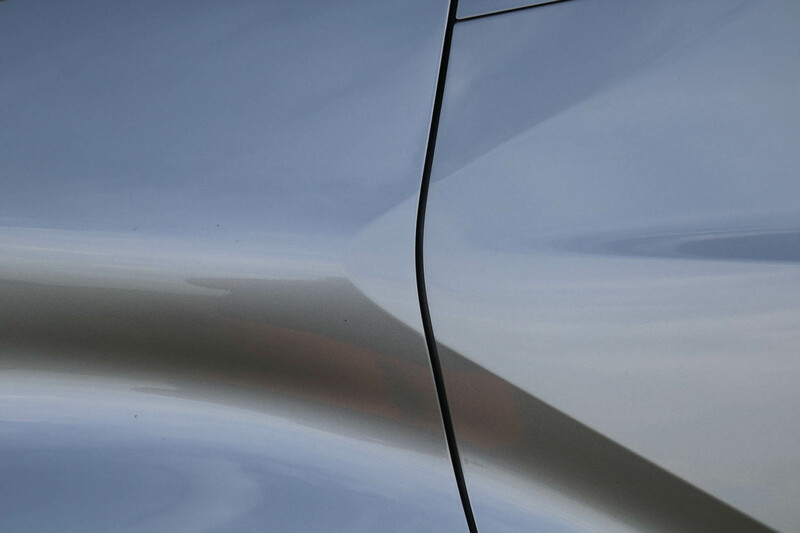 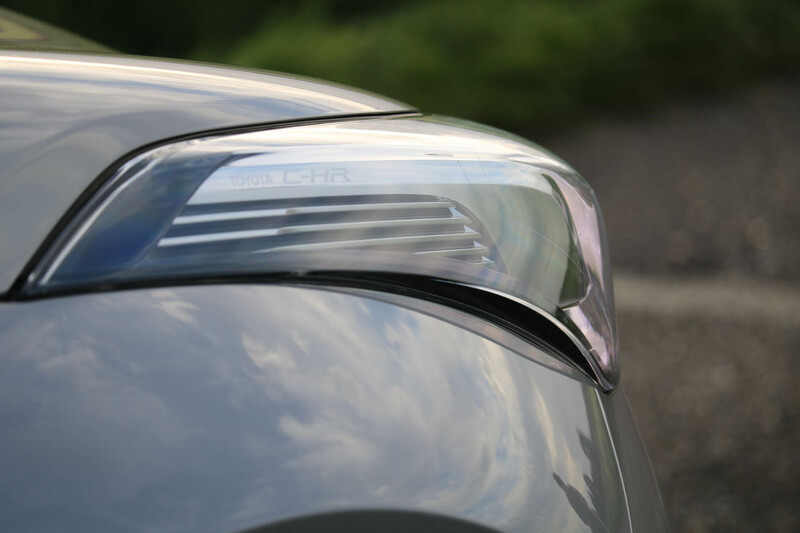 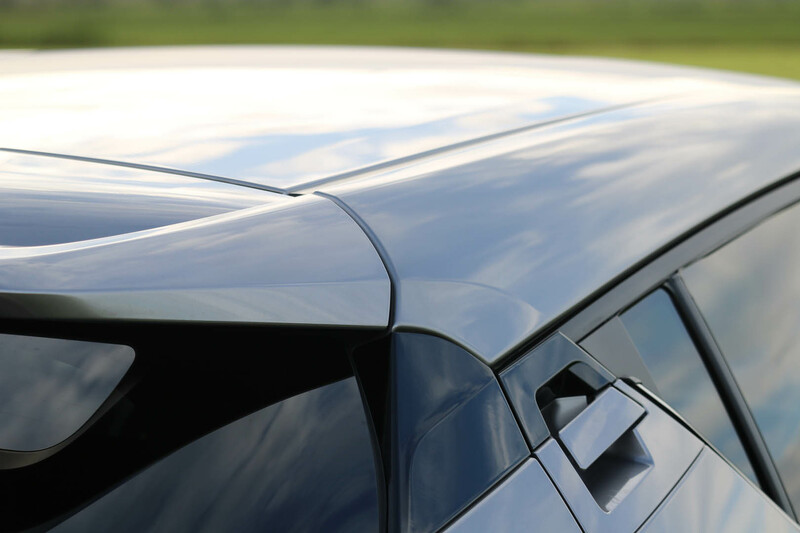 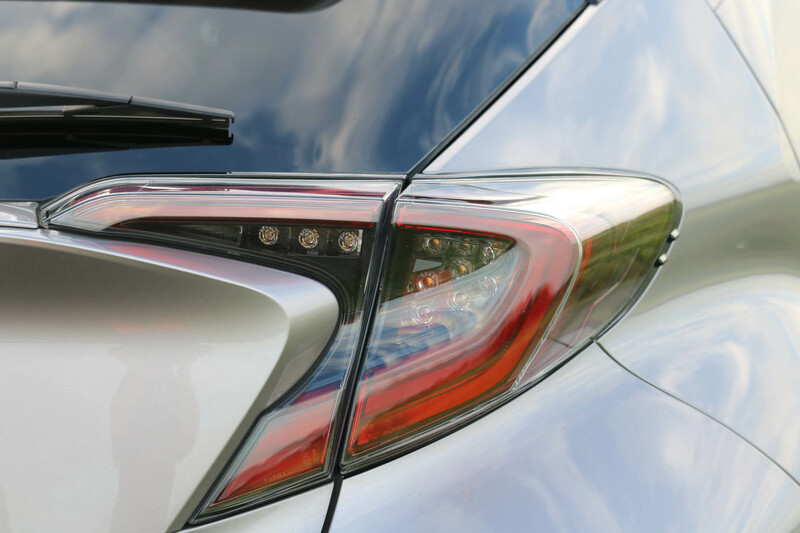 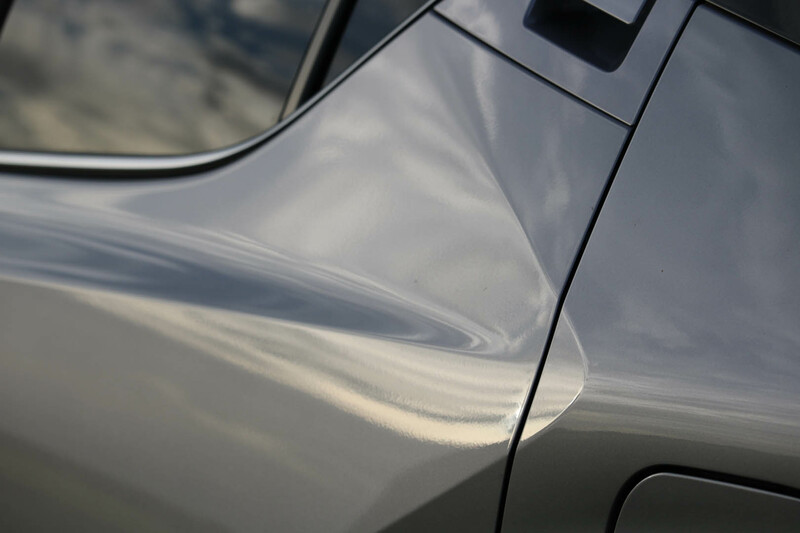 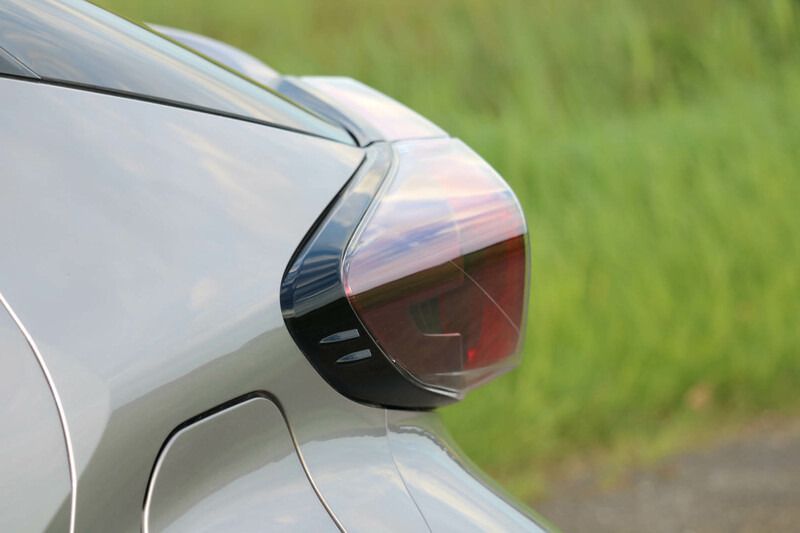 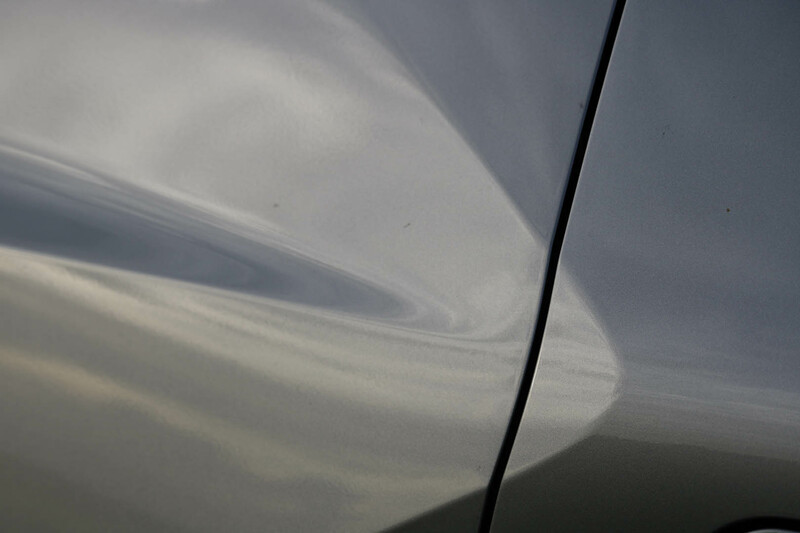 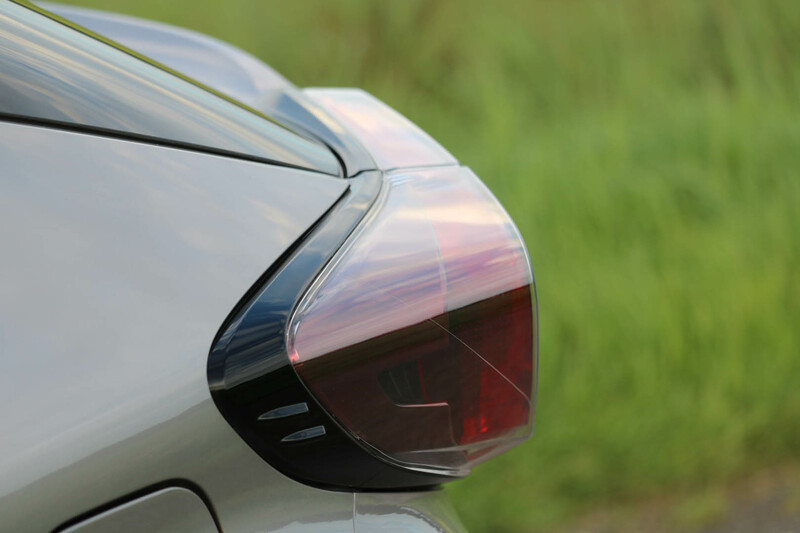 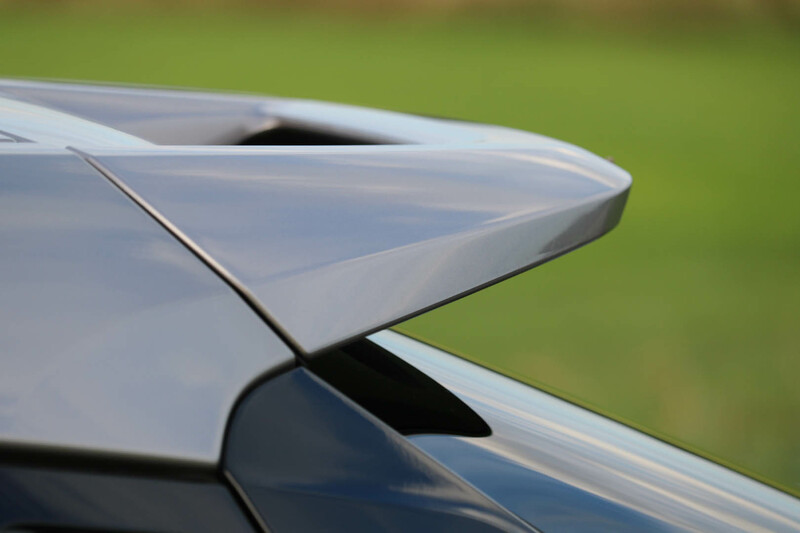 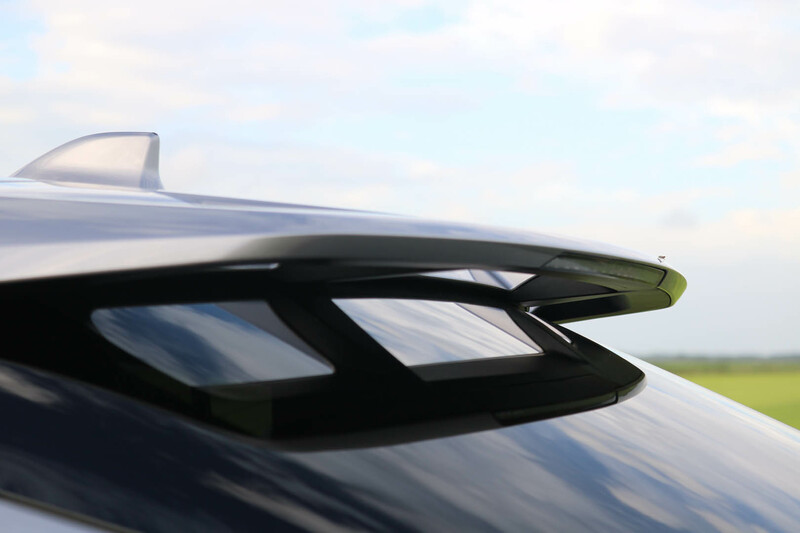 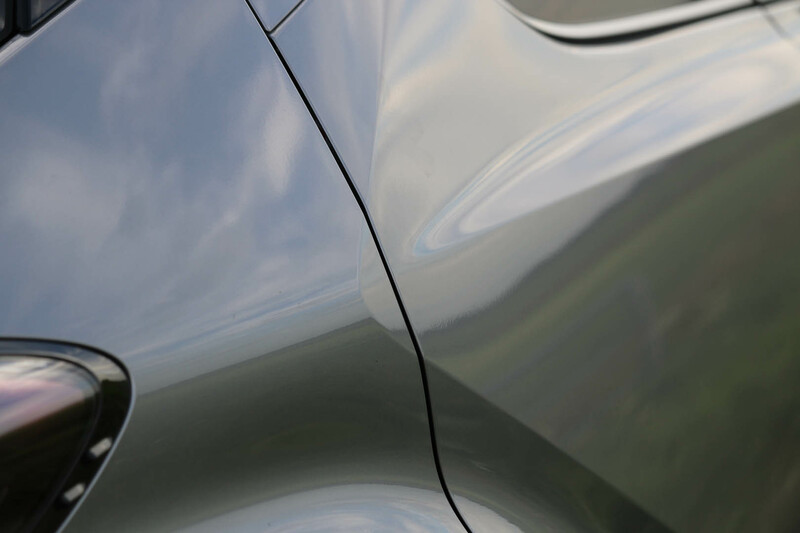 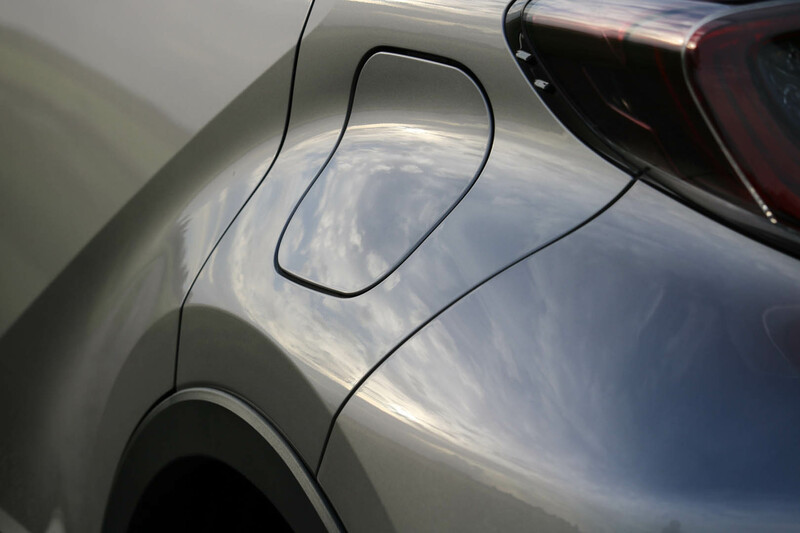 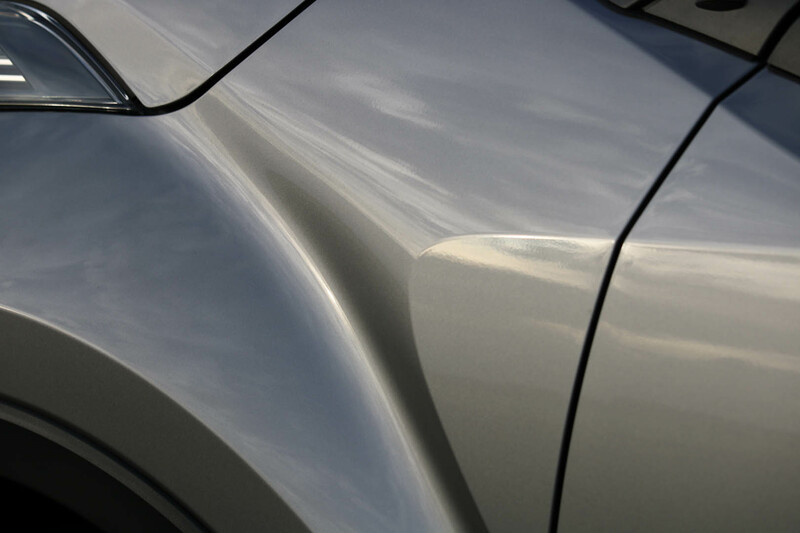 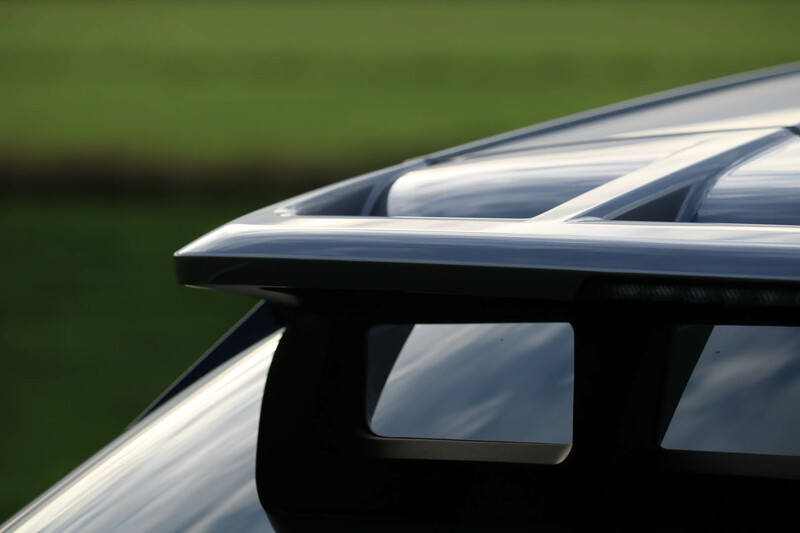 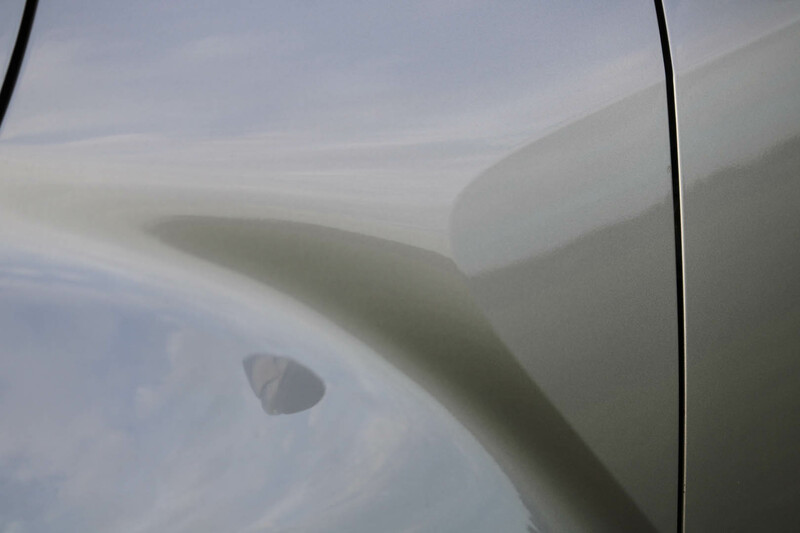 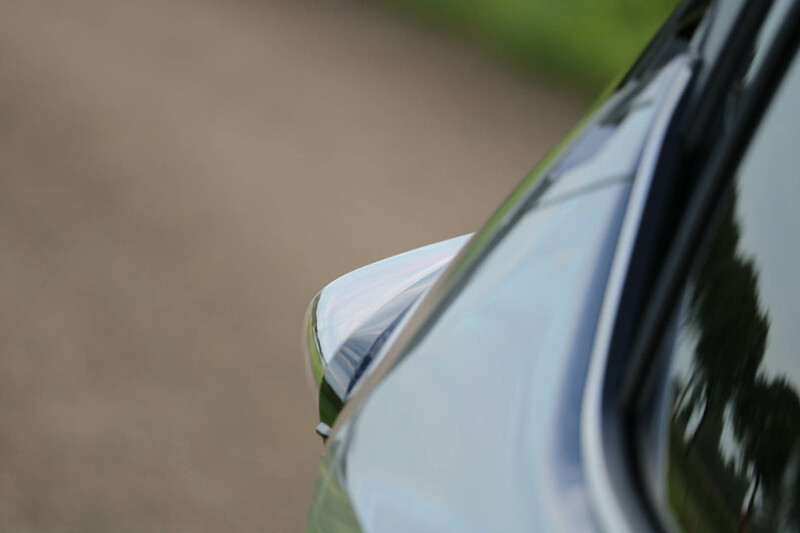 What was an issue, basically the only issue, we had with the C-HR was the high window sill line. 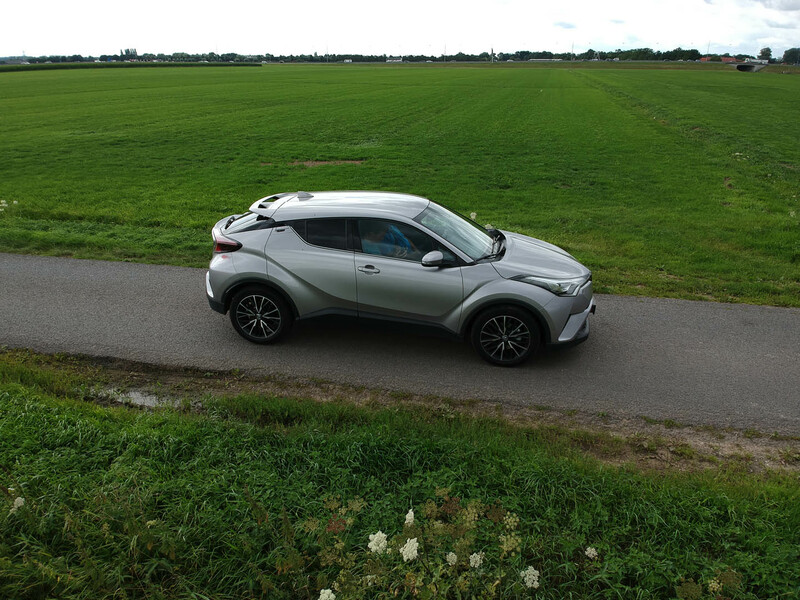 I realize the unique character stems from the combination of the high window sill combined with the dynamic surfacing of the C-HR, but on the interior we had people in the rear, young and old, feel claustrophobic, wanting to look out to the sides and not being able to, even adults. 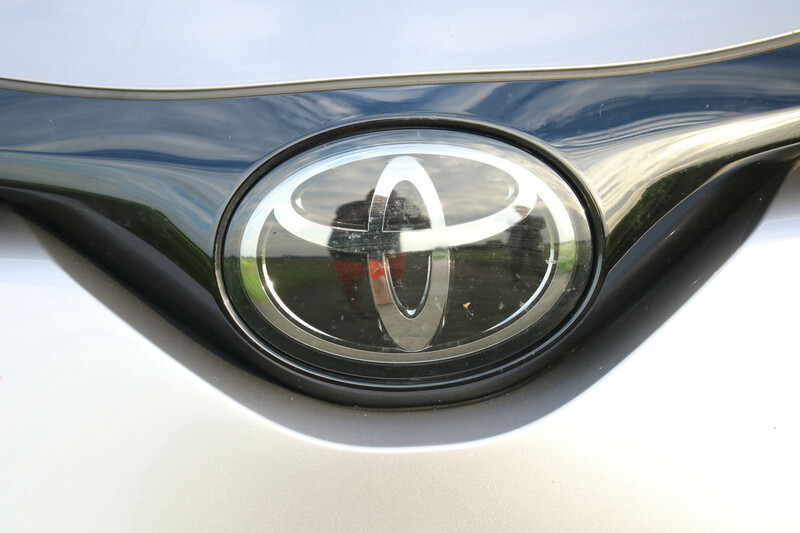 It was very frustrating for the rear passengers to really have to just endure the drive, but not seeing much. 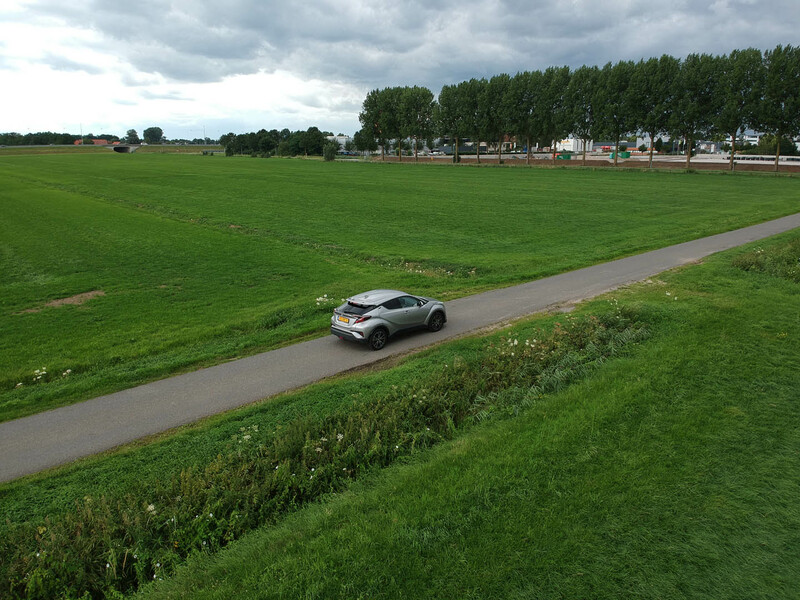 The younger crowds can then still be entertained for a while with their electronics, but even that has a time limit. 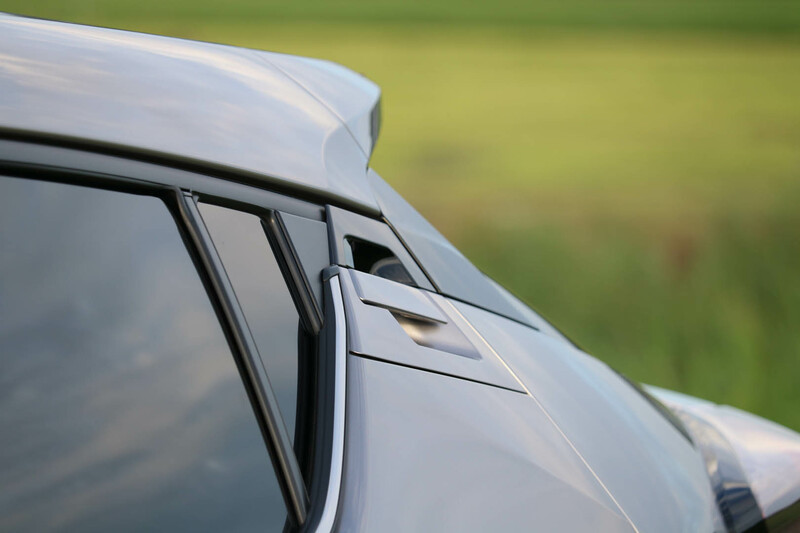 More importantly was that the high window sill combined with the thick rear pillar, left us with hardly any visibillity when trying to park or maneuver. 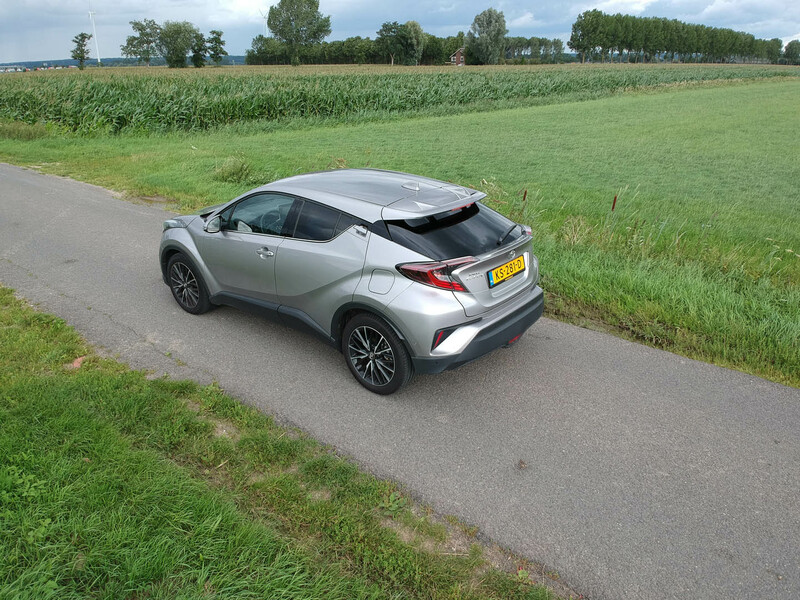 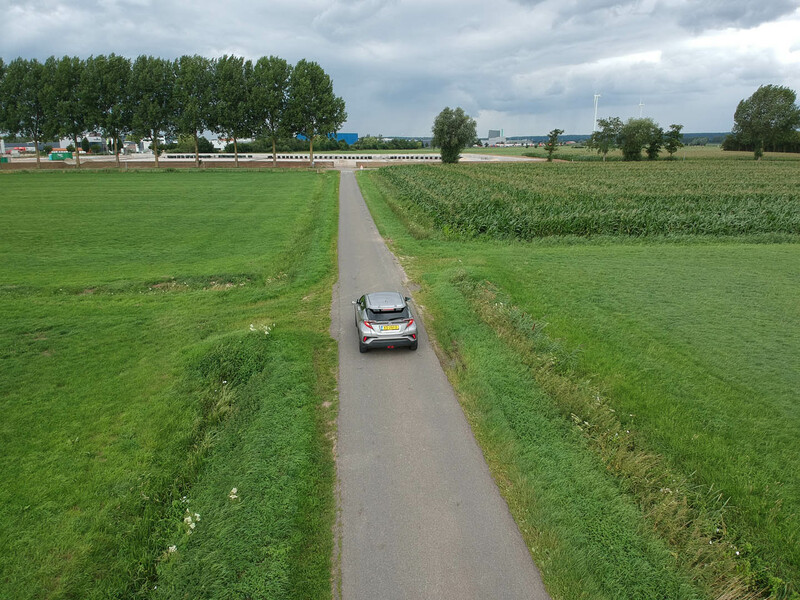 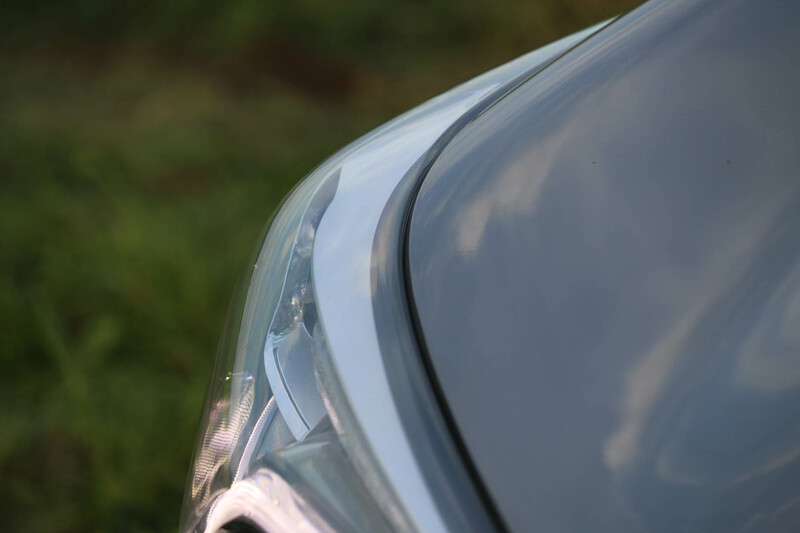 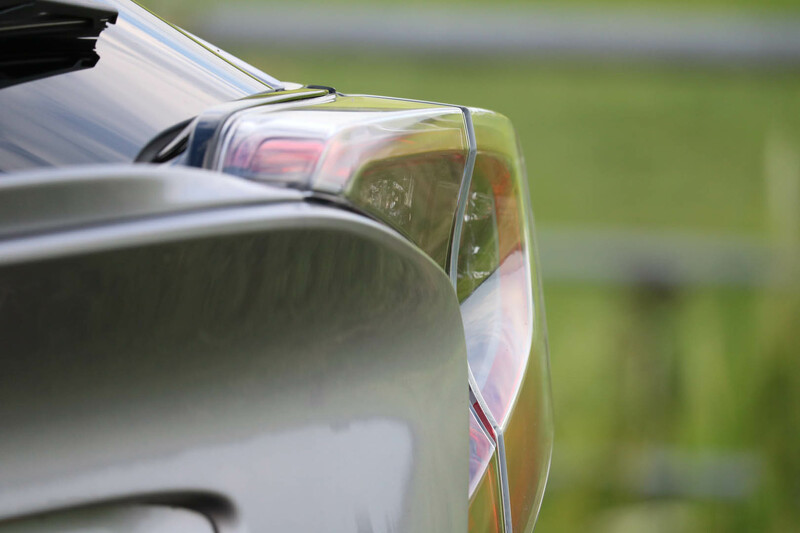 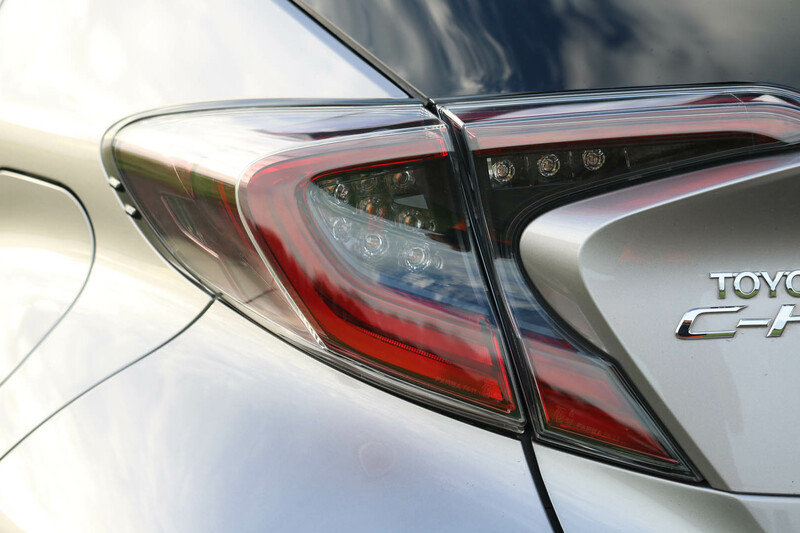 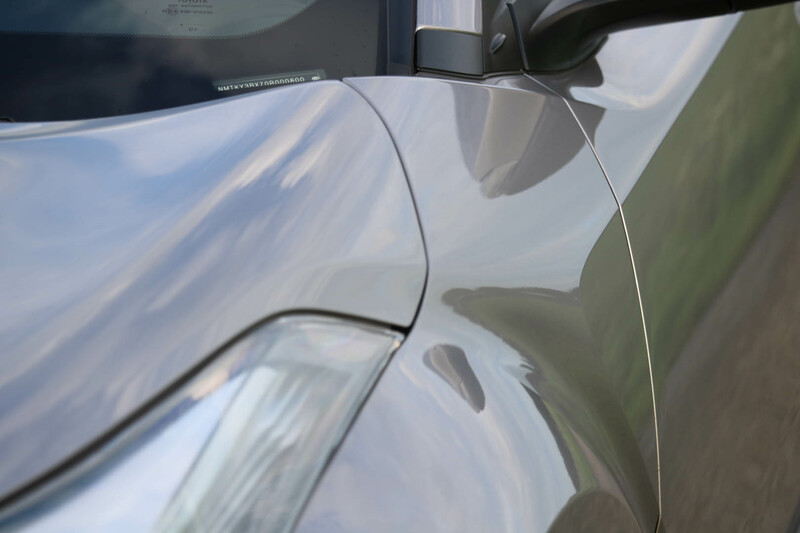 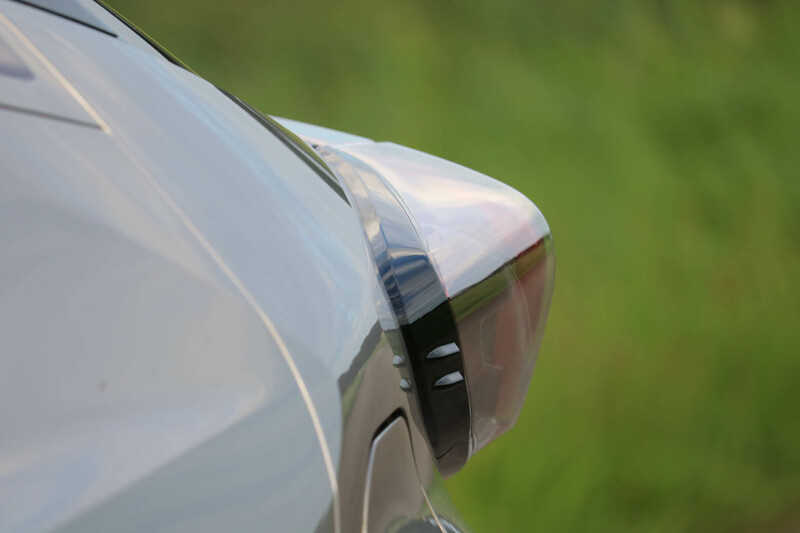 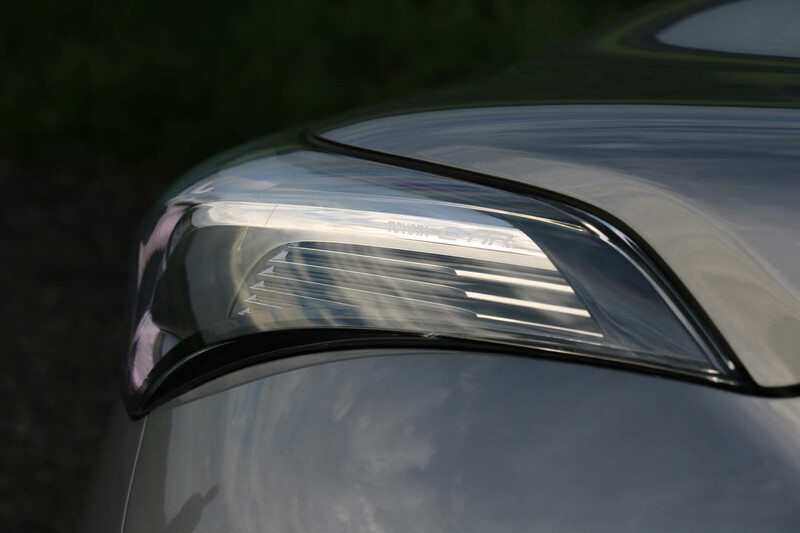 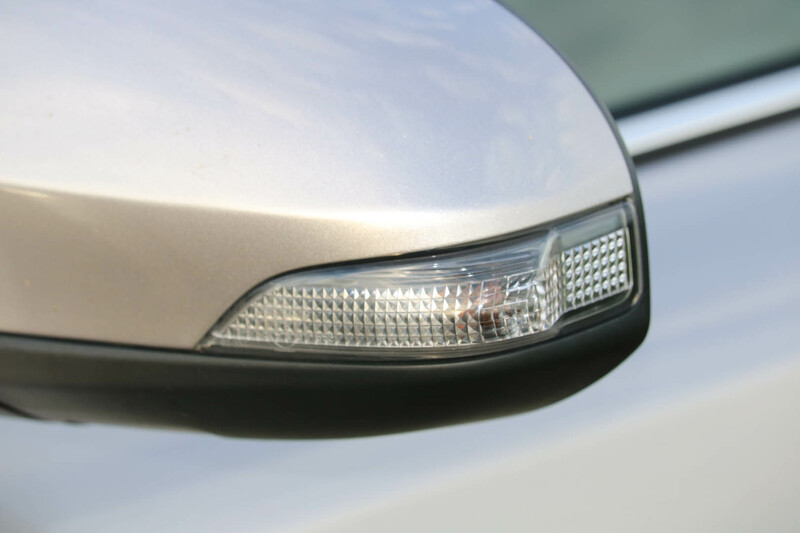 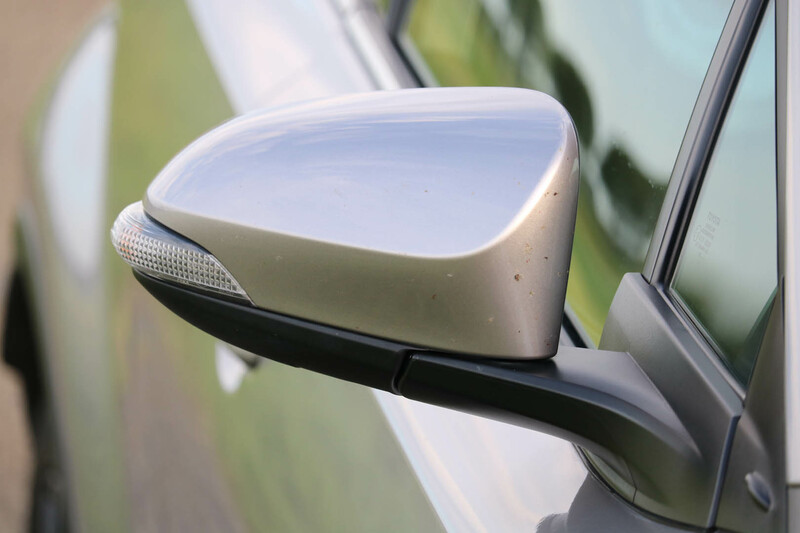 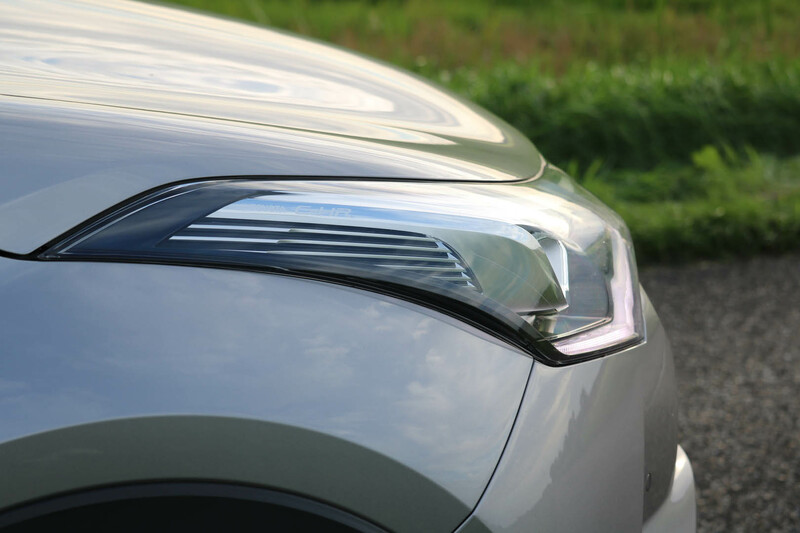 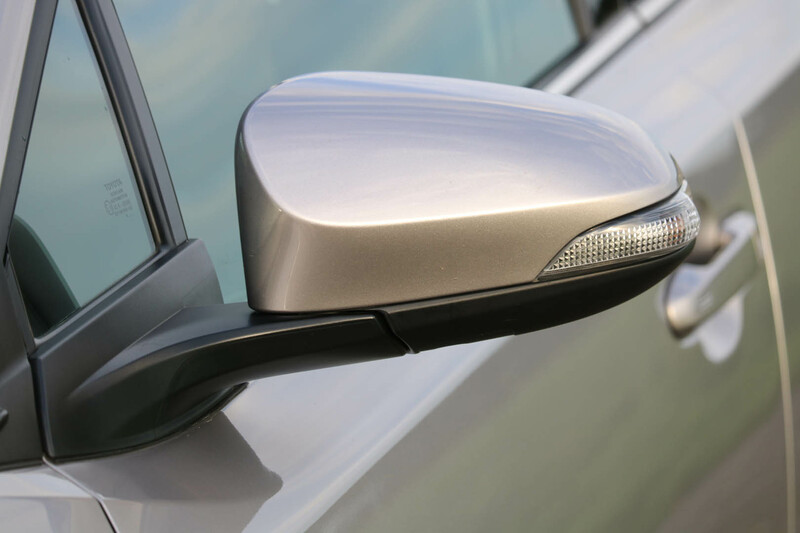 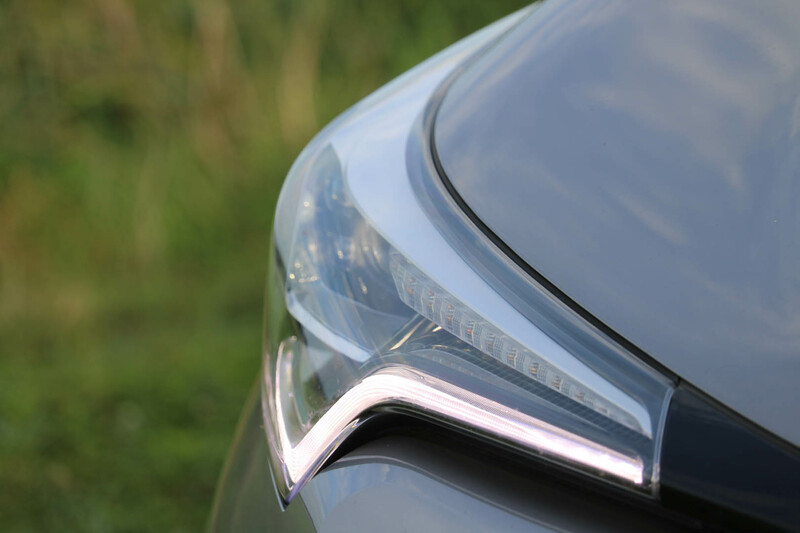 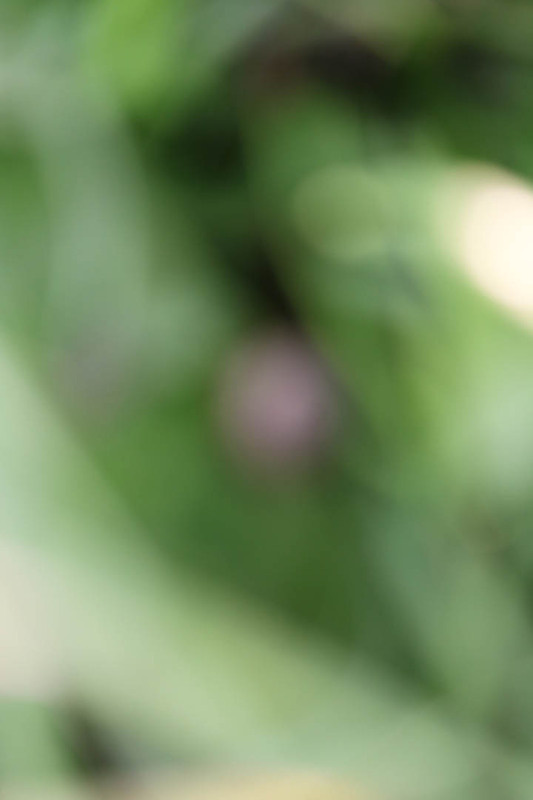 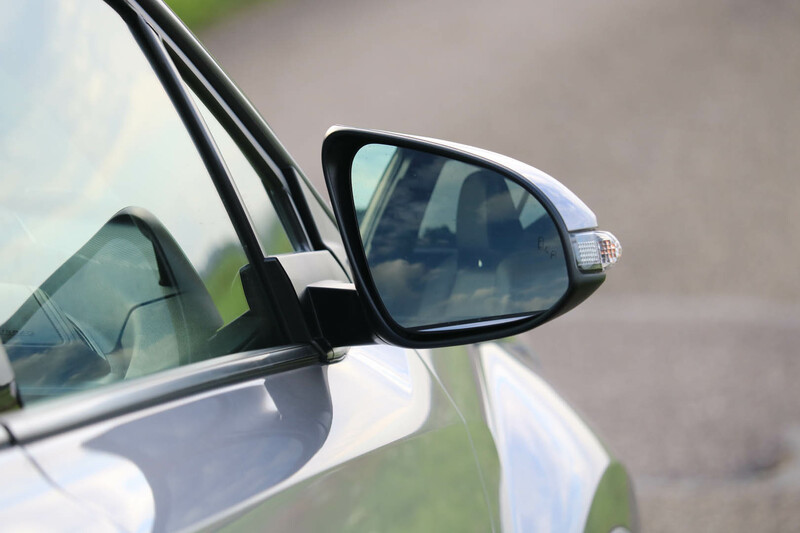 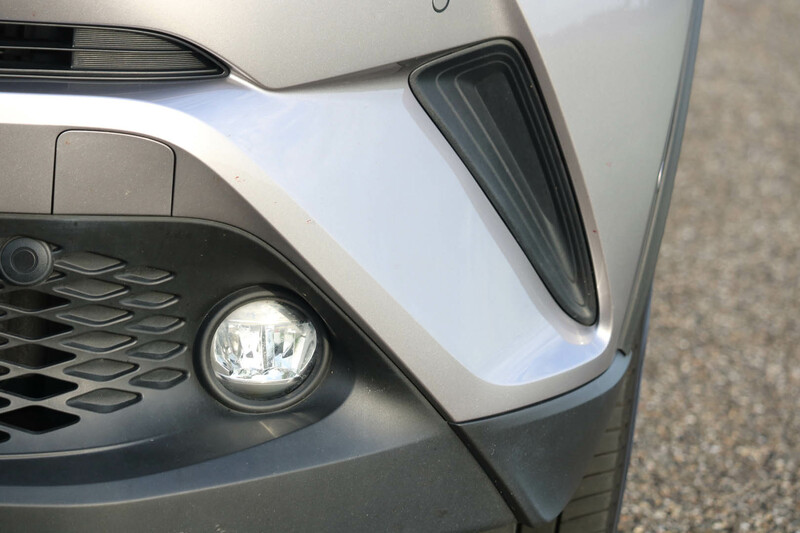 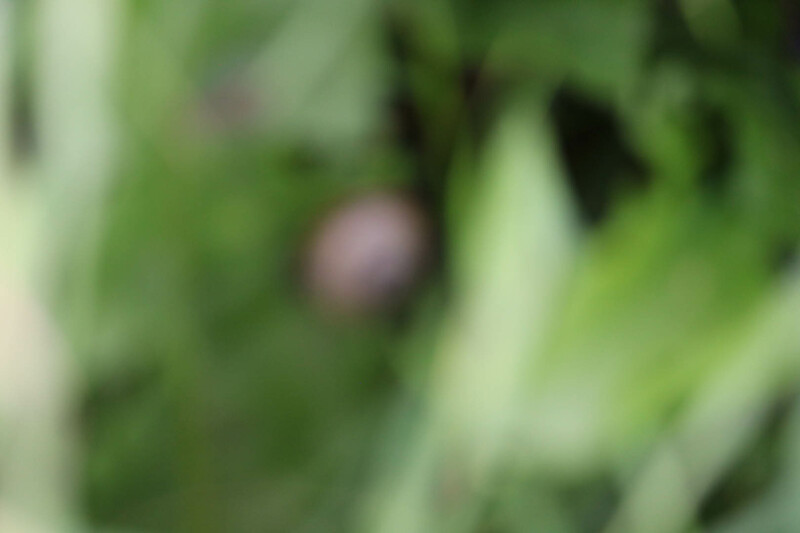 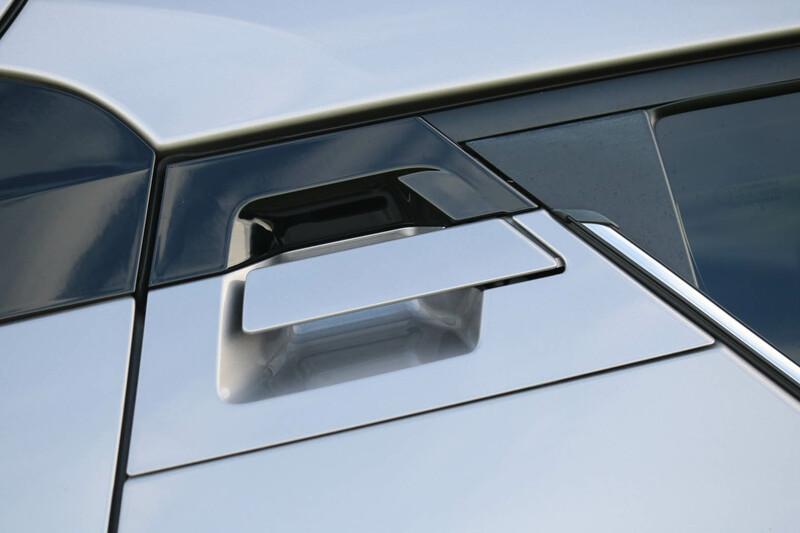 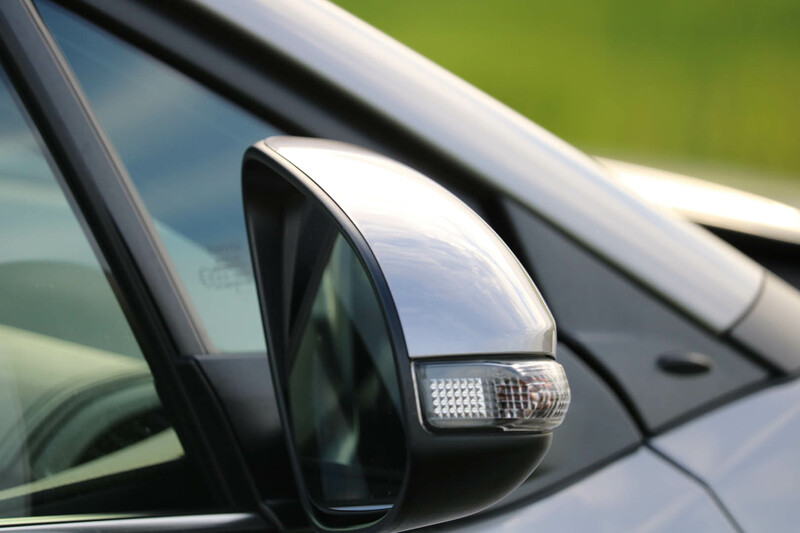 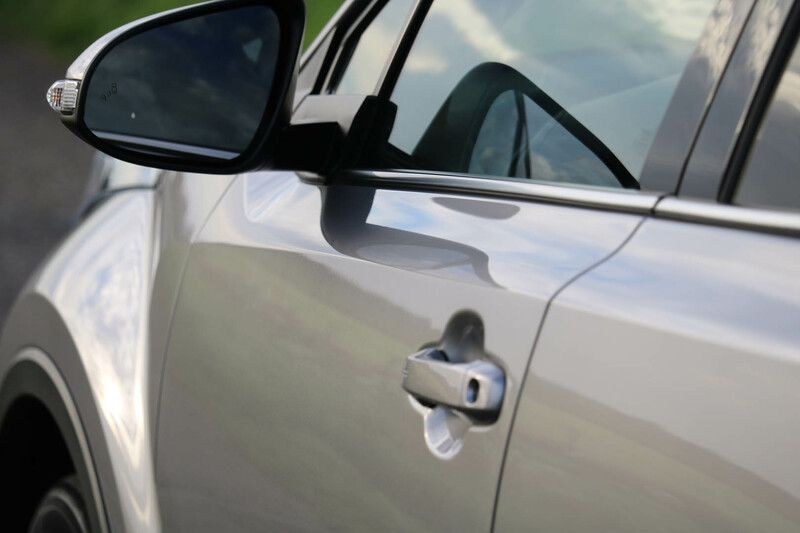 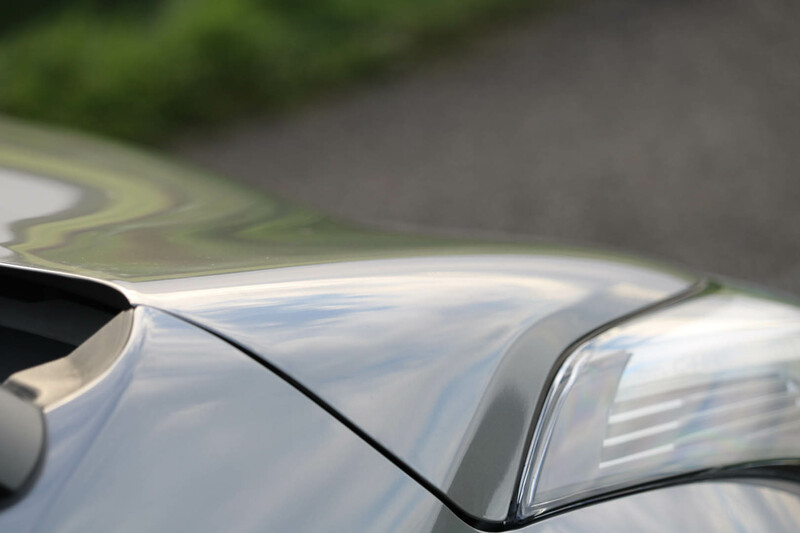 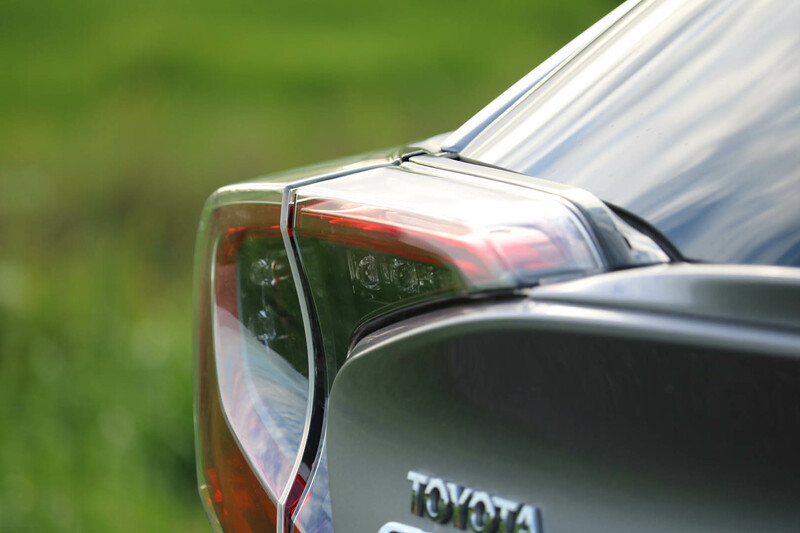 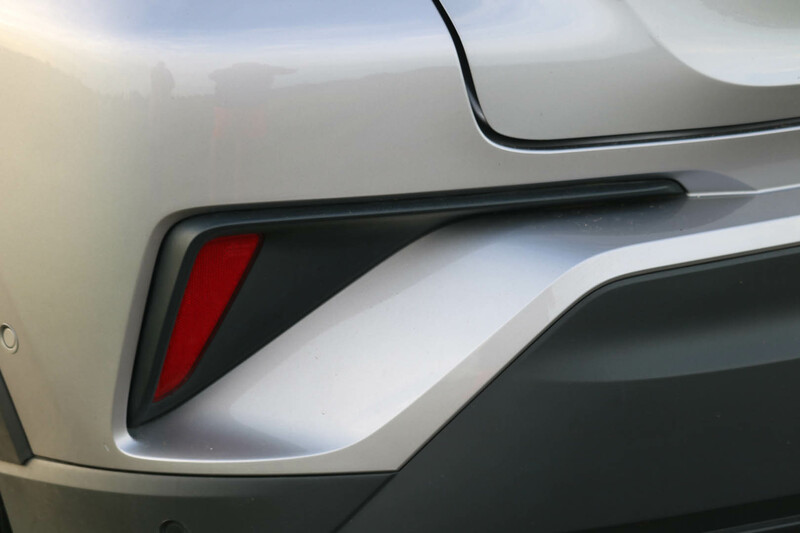 Of course there was the rear camera that aided in those situations, but as a driver you do still want to have a sense for yourself as to where you are. 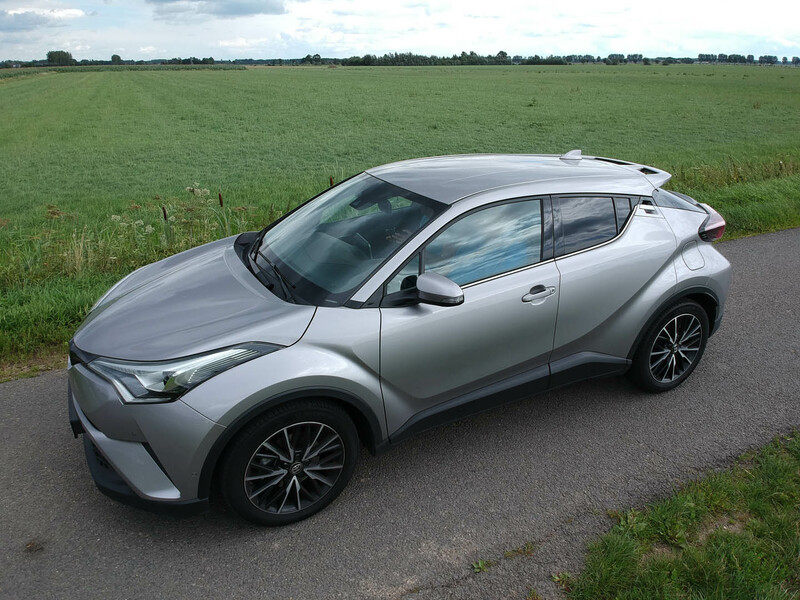 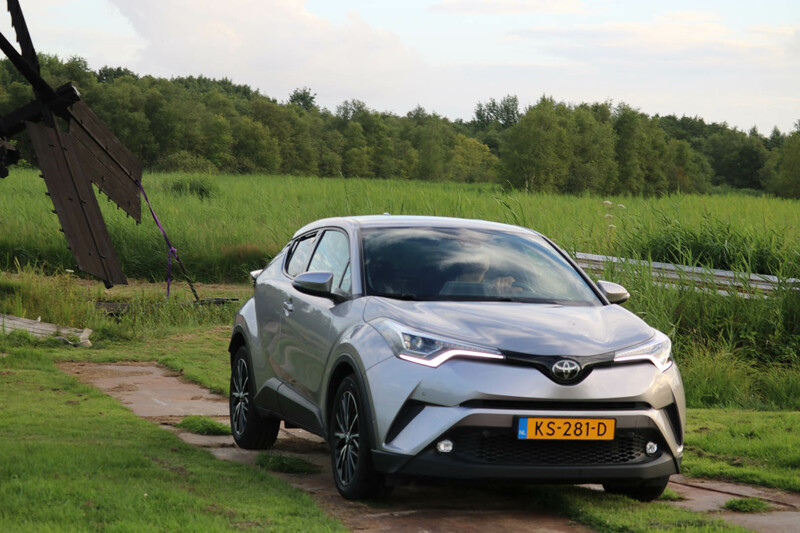 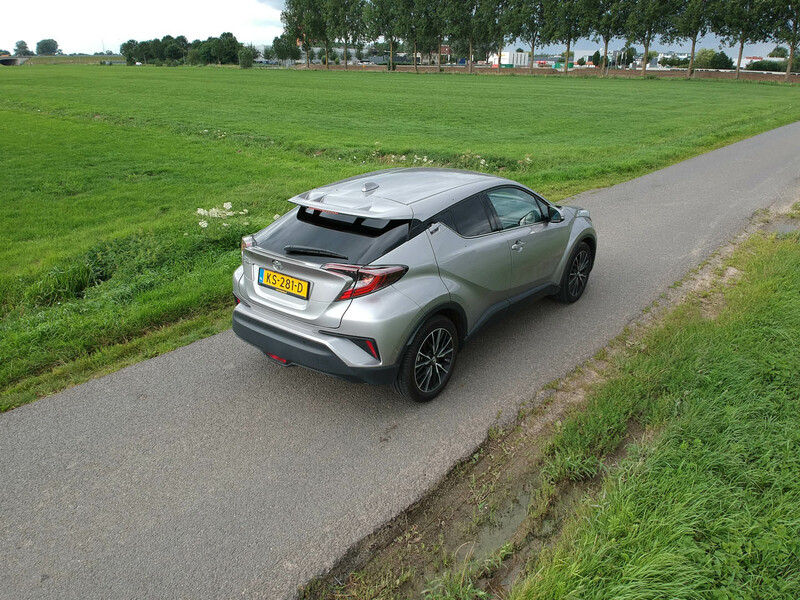 All in all though, the C-HR proved itself to be a fun car, with a lot of charisma, good build quality, good fuel consumption and good performance.